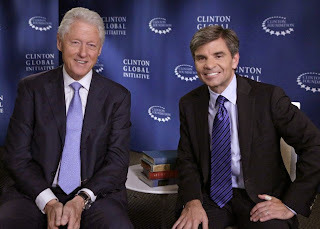 Media Frenzy Over ABC George Stephanopoulos' Undisclosed Clinton Foundation Donations: What about the PBS connections? 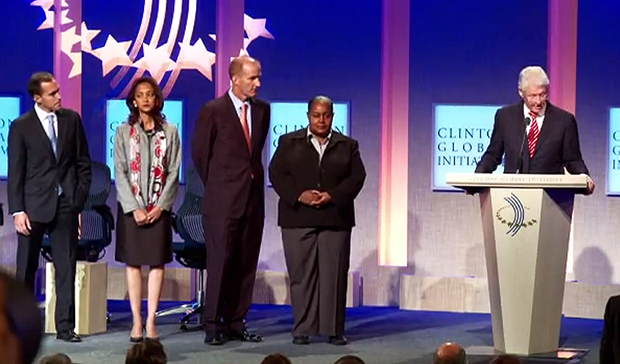 about the Clinton Global Initiative in 2014. Prior to the release of the blockbuster book “Clinton Cash,” which since April 19 began derailing the presumptive Democrat presidential candidate Hillary Clinton’s campaign, on April 26th ABC’s George Stephanopoulos interviewed ­­ the author Peter Schweizer. But weeks later the media went crazy because journalist Stephanopoulos had neglected to inform his viewers as well as his employer of his donations to the Clinton Foundation –– of which extreme criticism of the foundation and its donors are the focus of Schweizer’s book. 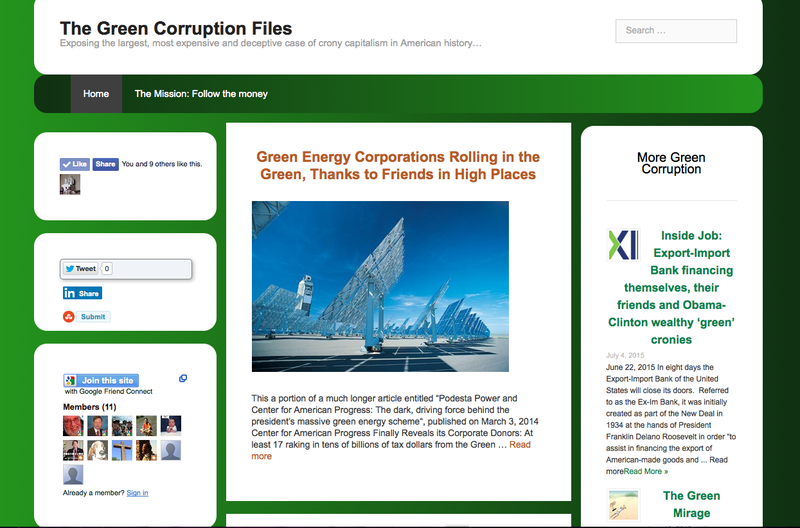 Before getting into some of the details and disaster surrounding this "Stephanopoulos Clinton Cash Scandal," I'd like to point out that my May 4 Green Corruption File divulged Stephanopoulos' donations. 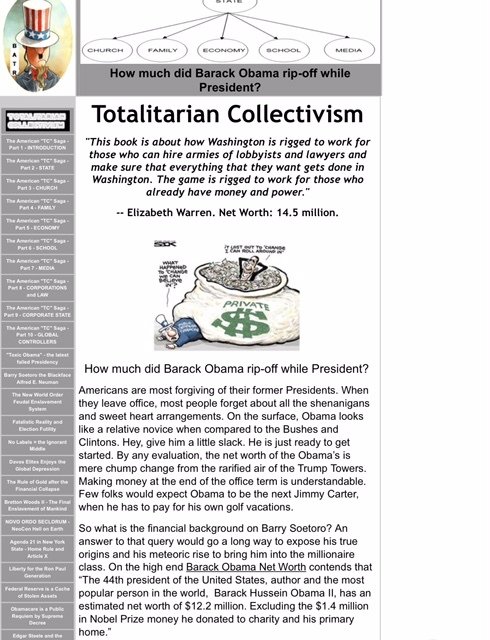 In turning the pages of a book that had yet to be released, it was the interview on Sunday's This Week (April 26) when ABC’s George Stephanopoulos aggressively interviewed Schweizer, implying, of all things, that it was a partisan hit job, that made me laugh, because Stephanopoulos is listed as a Clinton Foundation donor, giving between $50,000 to $100,000 –– some of which he did so in 2014. Did he forget that, according to the Washington Post, Stephanopoulos "spent years working for the Clintons and helping to manage various scandals that arose during Bill Clinton’s campaign and first term in office?" 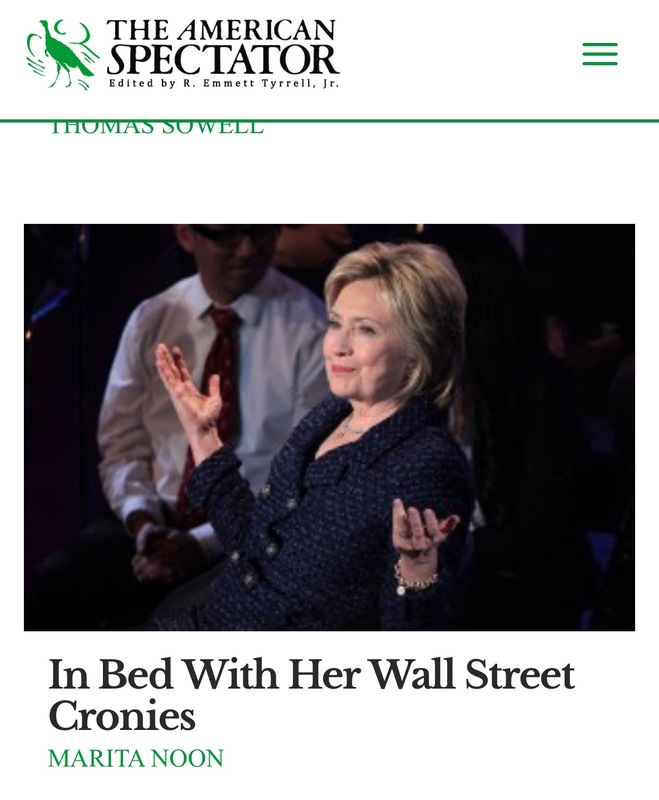 And what about those allegations that Stephanopoulos "personally benefited from Clinton-influenced cronyism?" What’s interesting is that this Stephanopoulos mess has not only taken center stage, even out-shadowing the damning content of the “Clinton Cash” book –– released May 5 and now a New York Times bestseller –– but it has also taken on a life of its own. 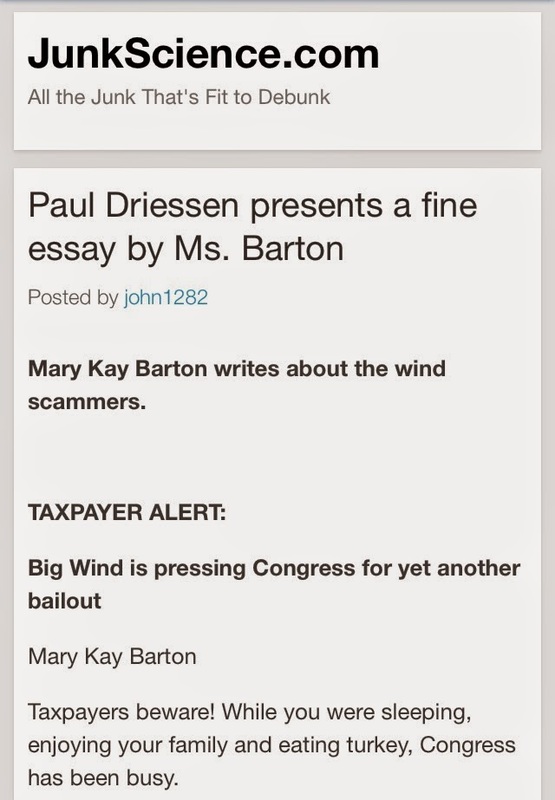 From what I gather, this scoop, which has many twist and turns, all began on Wednesday, May 13 when Andrew Stiles of the Washington Free Beacon had “spotted” the donation and contacted ABC News for a comment. Absent a comment from ABC News, Continetti & Co. decided to let the matter sit overnight. They just waited. When the Washington Free Beaconers put their heads together Thursday morning, there was still no comment from ABC News. 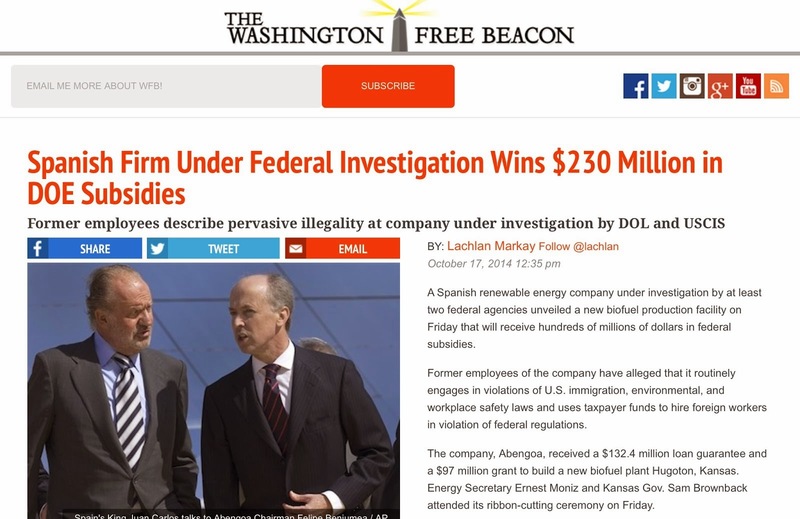 Apparently, as Stiles, the digital managing editor and Matthew Continetti, the editor-in-chief of the Washington Free Beacon, were waiting to publish their scoop, rather than providing them with a statement as promised by 7 a.m., ABC News confirmed the donations to POLITICO’s Dylan Byers. 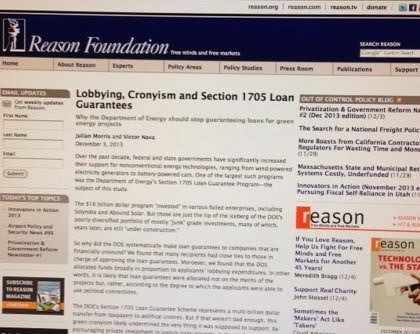 Also exposed by the Free Beacon is that the ABC News spokesperson, Heather Riley that " rebuffed the Free Beacon’s request for comment on Stephanopoulos’ undisclosed donations to the Clinton Foundation," it turns out, also worked in the Clinton administration. Amusingly, Ms. Riley did provide them with a statement about 15 minutes after the acknowledgement was published at POLITICO on May 14 at 9:24 a.m.: "George Stephanopoulos discloses $75,000 contribution to Clinton Foundation." Stephanopoulos had first admitted that he had give the foundation $25,000 in 2013 and the same amount in 2014 –– only to, later the afternoon of May 14, confess that he made another $25,000 contribution in 2012, during the time when Hillary was secretary of state. After being busted for this breach of ethical standards, Stephanopoulos, that same day, apologized in a statement to "On Media blog" (that's the POLITICO post). This was followed by a pathetic public display on May 15 where he spent approximately 30 seconds on “Good Morning America” to publicly atone to his viewers while hiding under the "donations were a matter of public record" excuse and claiming that he's just an innocent philanthropist. The first is true, because, after all, when I was snooping around the Clinton Foundation's donor list in an effort to expose those familiar to The Green Corruption Files for my blog, “A sneak peek into Hillary Clinton’s climate change cronies, on April 23 I had found that Stephanopoulos was listed as a donor, giving between $50,000 to $100,000 –– some of which he did so in 2014. Even though he wasn't the target of my research for my May 4th post, due to his Clinton connections it was duly noted. A few days later, after viewing the April 26th interview where Stephanopoulos sideswiped Schweizer, it hit me: Oh my! However, obviously, a failure to disclose this information prior to interviewing any author of the Clintons or their foundation is foolish at best. In fact, he never should have been allowed to do it in the first place. 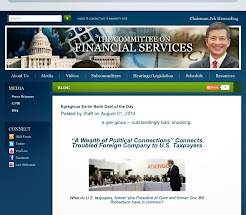 Although most in the political arena are aware of Stephanopoulos' deep and shady ties to the Clintons, Schweizer's book exposes the flow of foreign money to the Clinton Foundation for favors, especially during Hillary's tenure as secretary of state. So it doesn't surprise me that Schweizer was shocked when he learned about Stephanopoulos' present condition with the Clintons, which goes way beyond $75,000. Since then, the fallout has been quite extraordinary, starting with a "Republican Revolt" over Stephanopoulos plan to moderate ABC’s GOP debate (as well as coverage of the 2016 presidential campaign), which is scheduled to take place in February in New Hampshire –– an obvious conflict of interest. He [Stephanopoulos] really hasn’t shown that he can moderate debates fairly at all. It was Steppie who introduced the Democrats’ patented 2012 #GOPWarOnWomen theme during the first GOP primary debate in New Hampshire in January of 2012. Who can forget the look on Mitt Romney’s face when he was hit with one pointless question after another about hypothetical contraception bans. Debate? What what about journalism, period? Yep, since Stephanopoulos got caught writing "undisclosed" checks to the Clinton Foundation, his twitter "exploded" with calls for his resignation, while the piles and piles of headlines have been brutal –– and not just from the Right side. Despite the fact that "ABC News policy required that Stephanopoulos disclose his contributions to the Clinton Foundation to management before covering stories related to it," the network, thus far, is standing by him. Still, the story is much worse because it's more than just the cash ($25k in 2012, 2013, and 2014) at issue: In fact Mr. Stephanopoulos has a long history with the Clinton Foundation –– all exposed by Breitbart News and Peter Schweizer; not ABC or the news anchor himself. In 2006, he was a featured attendee and panel moderator at the annual meeting of the Clinton Global Initiative (CGI). In 2007, Stephanopoulos was a featured attendee once again. He was a 2008 panelist at the CGI annual meeting. 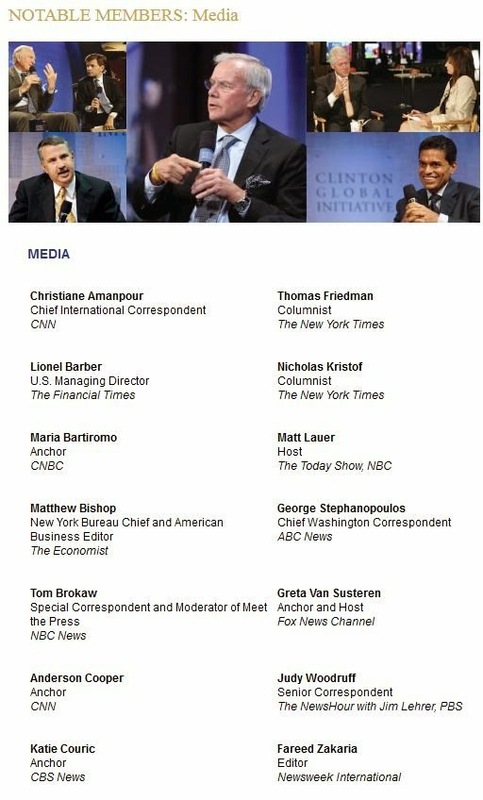 In 2009, Stephanopoulos was a featured attendee and panelist at the annual CGI meeting yet again. 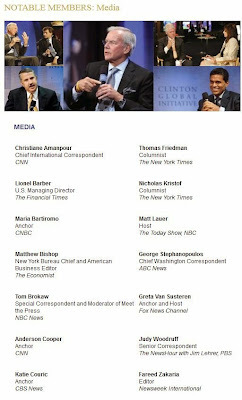 For the years 2010 and 2011, the Clinton Global Initiative website lists Stephanopoulos as a “notable media member..." –– along side numerous well-known media personalities, mostly left leaning (other than Greta Van Susteren) such as, Christiane Amanpour, Tom Brokaw, Anderson Cooper, Katie Couric, Matt Lauer, and Judy Woodruff. Spoiler Alert: Considering that Woodruff, another Clinton Foundation donor, is married Al Hunt, the couple will be detailed in Section Two of this blog post. Last year, Stephanopoulos’ wife, Ali Wentworth, attended a CGI fundraiser at which the Clintons auctioned off a $500,000 lunch with Bill and Hillary. 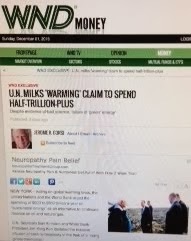 By the way, those "notable members" have other categories that include President Obama, Al Gore the Chairman of the Alliance for Climate Protection, George Soros Chairman Soros Fund Management, as well as Lloyd C. Blankfein Chairman and CEO the Goldman Sachs Group, Inc. and Jeffrey Immelt Chairman and CEO General Electric – just to name a few. Nevertheless let's get back to Stephanopoulos, "who has a long history of abusing his role as a journalist by promoting his former boss Bill Clinton and the work of his foundation," which is documented by NewsBusters. "In addition, NewsBusters’ Geoff Dickens has compiled a list of ten times George Stephanopoulos sucked up to the Clintons on ABC’s airwaves." And over at the Gateway Pundit you can find a video montage of attack dog Stephanopoulos defending Hillary Clinton. In the meantime, of course the Stephanopoulos disgrace hit the Sunday show circuit (May 17), including his –– ABC's This Week –– where he once again apologized to his viewers using the same lines that he read on "Good Morning America" the Friday before (May 15). Well, we won't hold our breath; however, by Monday morning, ABC and Stephanopoulos were not only suffering a major hangover, but were in a full-blown crisis mode. Well, move over Scooby Doo, because "Clinton Cash," which hadn't even hit the shelves yet, basically opened up Pandora's box. And the response from the Clinton Camp and their operatives have been brutal, starting with the chairman of Mrs. Clinton's 2016 presidential campaign, John Podesta, who attempted to discredit the author, while claiming that the book, of which he hadn't yet read, is "nothing new." Yep, a week after Hillary launched her presidential bid (April 12) and the same day that the New York Times broke the story of the forthcoming publication "Clinton Cash" (April 19), of which, at that time they labeled it as "the most anticipated and feared book of a presidential cycle still in its infancy," Mr. Podesta appeared on the Charlie Rose Show. Albert Hunt, a veteran political journalist, opened his segment of the show by heralding Podesta as "the most influential Democratic party insider today" –– and then... blah blah blah. While the majority of the 20-minute interview was basically cheer leading the rollout of Hillary's campaign, the last part was reserved for slamming the book "Clinton Cash" and its author Peter Schweizer. Before we go any further, a little background usually sets the stage properly. Sometime in October 2014, Charlie Rose added a segment to his show called "Al Hunt on the story," where Hunt has interviewed quite a few high-powered folks since that time, including Secretary of State John Kerry in October 2014. 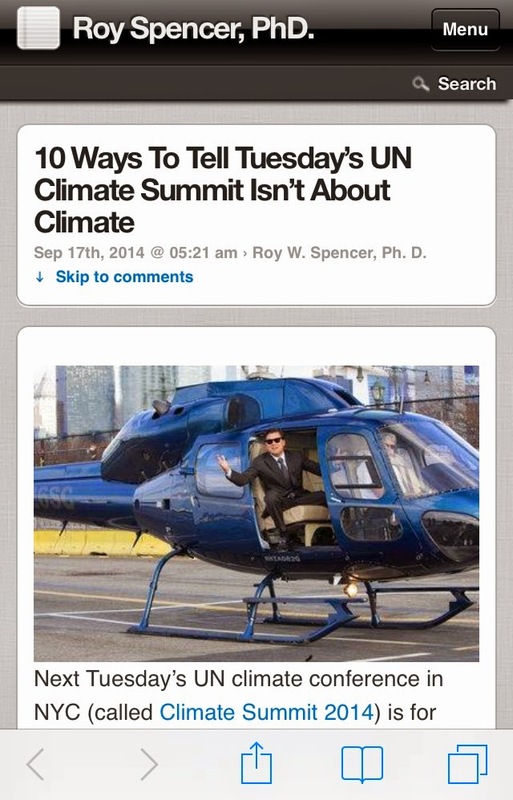 Hunt had Podesta on his show in November 2014 to discuss his work as President Obama's top advisor on climate change and other key issues. Second: most are aware of the deep-rooted ties that Podesta has to the Clintons as a close friend and longtime political ally. He served as Bill Clinton's chief of staff as well as his scandal deflector and more. So it's no surprise that Podesta came out swinging against the "Clinton Cash" book. However, why didn't Hunt –– a so called "respected journalist" –– challenge Podesta on at least the serous accusations that were known during the time of that particular interview? On the contrary, Hunt, along with Podesta, seemed entertained by the topic at hand. Why didn't Hunt reveal his wife's ties to the Clinton Foundation? Maybe she didn't tell him. What about Charlie Rose's connections to the foundation –– he happens to be the editor of Hunt's show, "Al Hunt on the story?" 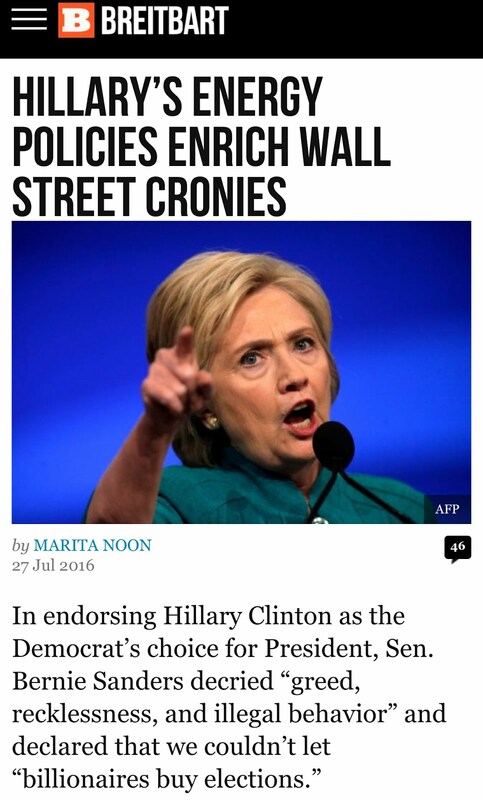 Was Hunt aware that his sponsors (PBS as well as Bloomberg) donated to the Clinton Foundation? Well, possibly the following Intel will shed some light on these inquiries and more. 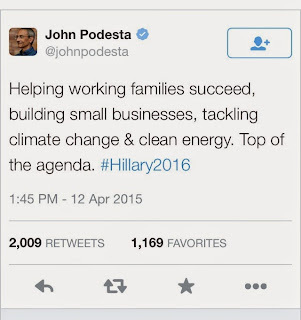 First it's important to know that according to the Christian Science Monitor, "Podesta has held a top role in the family's charitable foundation" –– and was a "featured attendee" at the Clinton Global Initiative (CGI) annual gatherings in 2011 and again in 2012. John Podesta also donated between $1,000 and $5,000 to the Clinton Foundation, while his high-powered lobbyist brother Tony Podesta donated between $25,000 and $50,000 –– as well as Tony's ex-wife Heather Podesta (lobbyist too) donated between $50,000 and $100,000, some of which she did so in 2014. Charlie Rose: Anchor and Executive Editor of PBS' "Charlie Rose" and "Charlie Rose: The Week", Co-Anchor of "CBS This Morning"
But it gets better, because Charlie Rose, the Executive Editor and Anchor at PBS, was also a "featured attendee" at both the 2011 and 2012 Clinton Global Initiative (CGI) annual meetings and was a "featured speaker" at the 2013 CGI meeting. 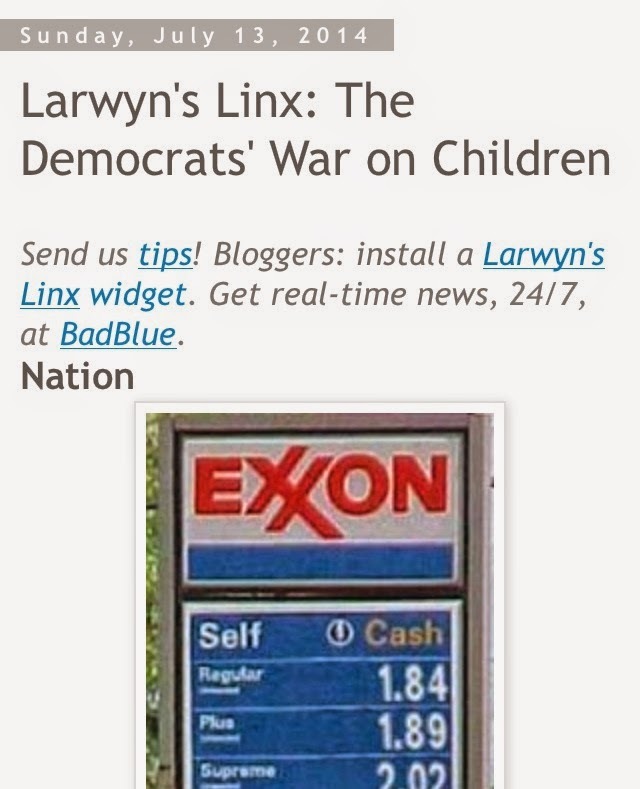 Adding to the mix is the fact that the partially taxpayer-funded ($445 million in 2014) Public Broadcasting Services (PBS), which has been known for its media bias (it leans left), by the way, is also listed as a Clinton Foundation donor, giving between $5,000 and $10,000. Moreover, at the 2014 CGI annual meeting, in a panel called "Leadership That Matters," where this particular "CGI Conversation" was hosted by PBS’s Charlie Rose, and the moderator listed is Mr. Rose –– adding the following impressive bio: The Anchor and Executive Editor of "Charlie Rose" and "Charlie Rose: The Week" and Co-Anchor of "CBS This Morning". spoke with Bill Clinton at that same 2014 Clinton conference, where the former president fawned over the longtime PBS interviewer: "The reason I like your program is you interview everybody the same..."
During that same interview, Rose praised Bill as "the best political animal that's ever been in American politics..."
What's funny too, is that both Bill and Hillary Clinton have been frequent friendly guests on the Charlie Rose Show. As part of her "Hard Choices" book tour, on July 16, 2014, Rose spent an hour with Mrs. Clinton on his PBS show, of which he began the interview with a poem about her. Enter in journalist Albert Hunt (labeled a liberal), who is a columnist for Bloomberg View, the editorial arm of Bloomberg News (which is a subsidiary of Bloomberg L.P.). 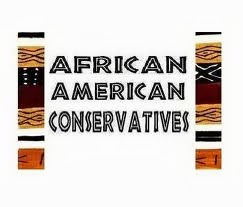 Now, he seems to criticize both sides of the political isle; however, not equally and Hunt has displayed disdain for the Tea Party movement, while he treads lightly around Hillary Clinton and even praises her name. Bloomberg LP, which was founded by liberal billionaire Michael Bloomberg (with the help of others) in 1981, by the way, is also listed as a donor to the Clinton Foundation –– giving between $50,000 and $100,000. Most know Bloomberg as the mayor of New York City, whom, with his left-wing views of life, banned large sodas. After his tenure as mayor was completed at the end of 2013, he returned "as head of Bloomberg LP, the financial data and media firm he founded and still controls." "Mr. Bloomberg owns 88% of Bloomberg LP and is worth $33 billion, estimates Forbes," noted the Wall Street Journal when they reported on the former mayor's transition. What most Americans don't know is that Bloomberg is one of the top political donors in America (second to another liberal billionaire and Clinton Foundation donor, Tom Steyer), of which the vast majority of Bloomberg's cash is supporting Democrats. He has not jumped on the early bandwagon to support Mrs. Clinton’s likely 2016 presidential campaign. Mr. Bloomberg is close to other potential 2016 hopefuls, including Vice President Joseph R. Biden Jr. and former Gov. Jeb Bush of Florida, who sits on the board of Bloomberg Philanthropies. 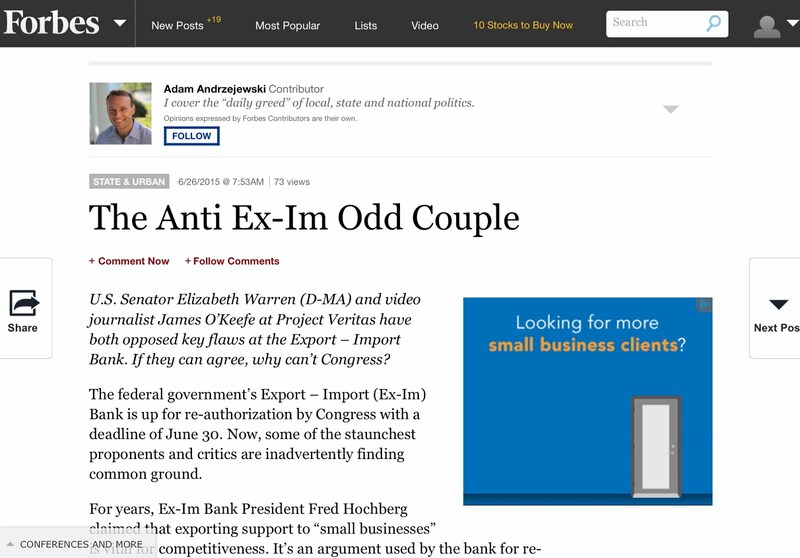 In the meantime, we can add to the cozy relationships Hunt's wife Judy Woodruff (remember my Spoiler Alert earlier? ), whose bio states the following: "Broadcast journalist Judy Woodruff is the Co-Anchor and Managing Editor of the PBS NewsHour with Gwen Ifill and Judy Woodruff. 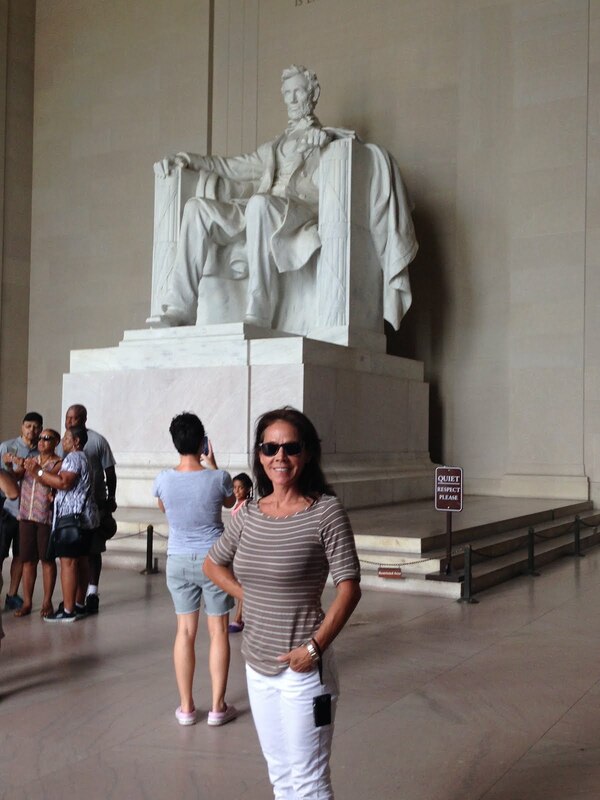 She has covered politics and other news for more than three decades at CNN, NBC and PBS." However, what is missing from her bio is that Woodruff is not only a “notable media member" of the Clinton Global Initiative, she is also a small donor to the Clinton Foundation and a big fan of Bill Clinton. Four days after her husband Al Hunt interviewed John Podesta (April 19), which, as mentioned earlier, was the day that that New York Times broke the story of the forthcoming publication "Clinton Cash," Woodruff covered the topic as well. 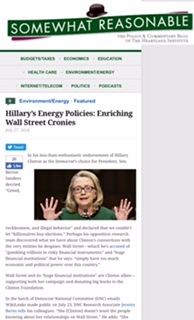 In her April 23, 2015, PBS NewsHour broadcast titled, "Will questions about conflict of interest hurt the Clinton campaign?," she interviewed Carolyn Ryan, New York Times Washington bureau chief and its political editor, Carolyn Ryan as well as Jonathan Allen, a reporter for Reuters. 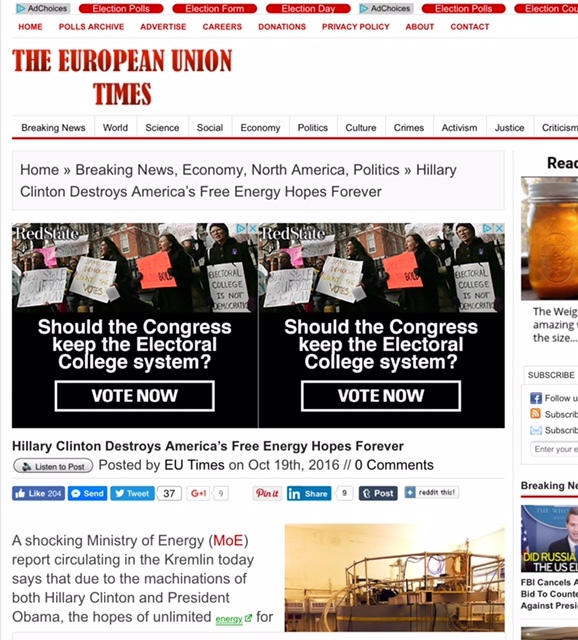 The discussions surrounded two damaging pieces to the Clinton Foundation that were published that day: One by the New York Times, "Cash Flowed to Clinton Foundation Amid Russian Uranium Deal," while the other from Reuters that reported, "Exclusive: Clinton charities will refile tax returns, audit for other errors." I want to come back to you quickly, Carolyn Ryan. A part of the New York Times’ story today did say that some of the information in the piece was based on reporting done by a conservative writer who has come out with a new book about the Clintons. How much of The New York Times reporting was dependent on that? Nevertheless, it wasn't until the day that Mr. Stephanopoulos was busted with his $75,000 Clinton Foundation contribution (May 14) that Woodard, the co-anchor and managing editor of PBS NewsHour, admitted to giving $250 in 2010 to the foundation’s aid efforts for victims of the Haiti earthquake.” However, she failed to mention her "notable member status." Maybe she didn't get the memo. It's also interesting that the Wall Street Journal notes that the timing of this small contribution was when "she [Woodruff] was covering politics as a senior correspondent for PBS NewsHour." 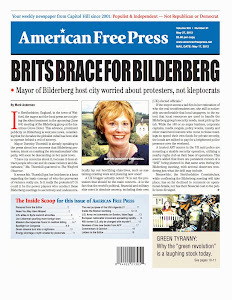 The Journal also addressed the fact that Woodruff "has interviewed former President Bill Clinton several times over the course of her career." Hillary too. In fact, on September 12, 2014 (nine days prior to his foundation's 10th Annual Meeting) PBS NewsHour co-anchor Woodruff sat down with Bill for a lengthy chat. In 2013, she interviewed him at the annual meeting of the Clinton Global Initiative (CGI) about his ambitions for the organization" –– an interview that NewsBusters describes as "softball as usual," while reminding us that at that time, "Woodruff had just been named co-anchor with Gwen Ifill" –– the latter is another advocate for Hillary. Woodruff also interviewed Bill at the 2010 CGI Annual gathering. While Woodruff has been caught displaying her liberal bias, both in the past and the present, let's not forget too, that PBS's behavior (both Woodruff and Ifill) in covering the 2012 presidential election suggests that they have an issue with objectivity –– and that was without a Clinton in the race. As Peter Schweizer recently put it: "What is certain is that Stephanopoulos' ethical malpractice and hidden-hand journalism have done further injury to an essential, if beleaguered, institution, one already battling to preserve legitimacy." 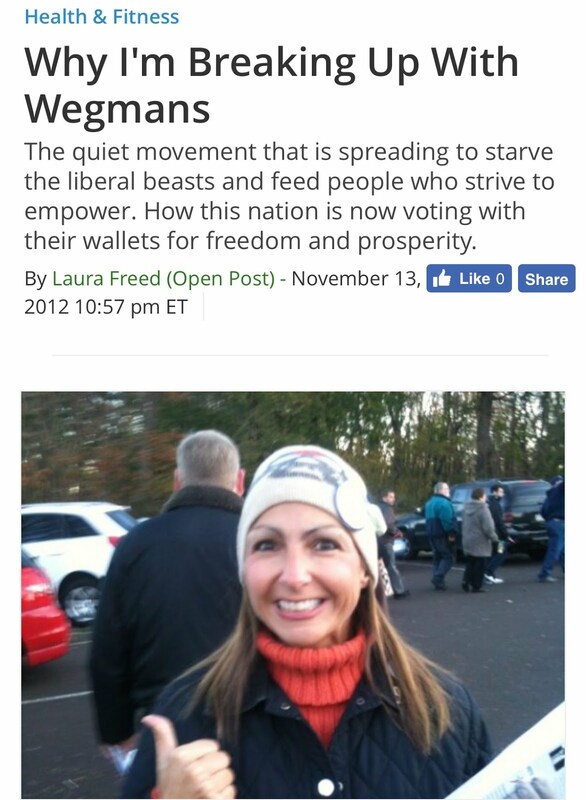 But while Stephanopoulos may be the poster child for journalist gone rogue (that's putting it lightly), keep in mind that the Clinton Foundation donors include dozens of media organizations and individuals, as well as the fact that the media participates in this foundation in other ways, which also deserve scrutiny –– as proven in the example portrayed in this post. Lastly, it's bad enough that most of the so-called mainstream media leans left, with some that are outright bias to the core, but now we can confirm that the Clintons have many journalists in their back pocket (by accident or on purpose). Talk about a "blur." 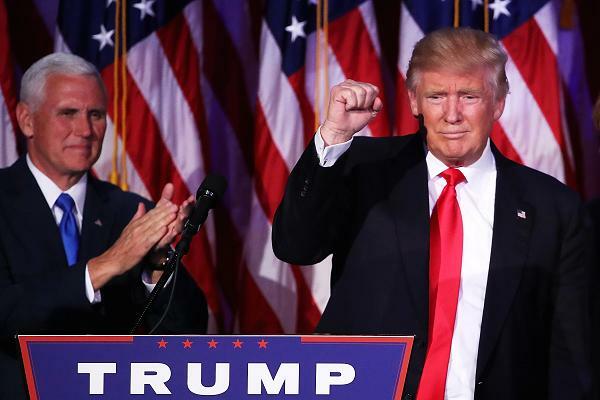 Obviously, since Hillary Clinton is aiming her sights on becoming the president of the United States –– the leader of the free world –– this is a huge problem. 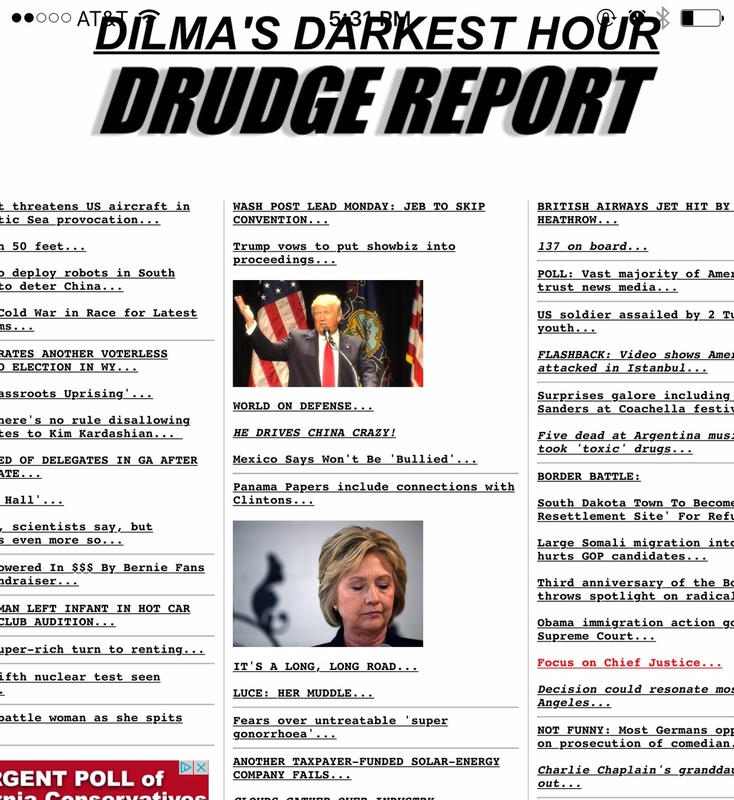 Nevertheless, at this point, the best case scenario is that Bill and Hillary extort tons of free press. 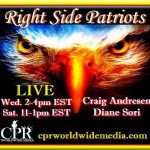 Worst case is that due to the media agencies and journalists that either aid in their adventures, or donate to their foundation, while continually airing their related interviews (infomercials), it legitimizes, at least to the uninformed masses, that the Clinton Foundation is a worthy charity. However, the truth now reveals that this world-wide work of benevolence is suspect as something more sinister, possibly (with the false prophet Benny Hinn also a big donor), as disgraceful as what Jim and Tammy Faye Bakker did in the 70's and 80's to the religious arena. Are Bill and Hillary America's reigning king and queen of global philanthropy –– without the tears of course? Oh, they can always hire House Speaker John Boehner for that. Hillary Clinton waves as she enters her "Scooby Van"
On April 12, 2015, Hillary Clinton, whom in 2008 ran as “winning campaign” with the intent to “make history and remake our future,” only to be defeated by the senator from Chicago, Barrack Obama, finally announced her 2016 presidential run. 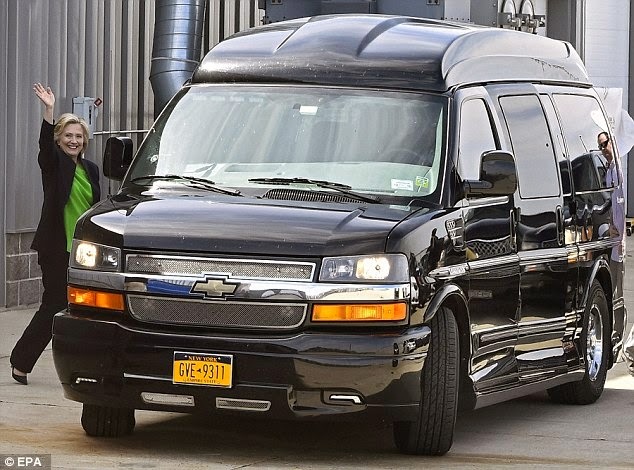 Shortly thereafter, Mrs. Clinton, whom has not driven since 1996, loaded up her armored campaign van along with her entourage of dark SUV’s, and began field trips across America, pretending to be one of us by ordering a burrito bowl (dark sunglasses, cell phone, and Huma Abedin in tow), while attacking the wealthy as well as income inequality, proclaiming that we need to "get unaccountable money out of it [politics]" –– even as Hillary, the epitome of the 1 percent, has been backed by the rich, including Wall Street, and is supported by and seeking out her fair share of the "dark money." Despite the fact that her “Scooby Van” is far from a green auto (it’s not a Chevy Volt; “it’s an upgraded Chevrolet 1500” that doesn’t abide by traffic laws), we learned that climate change could play a key role in Mrs. Clinton's campaign –– a topic we'll revisit later. 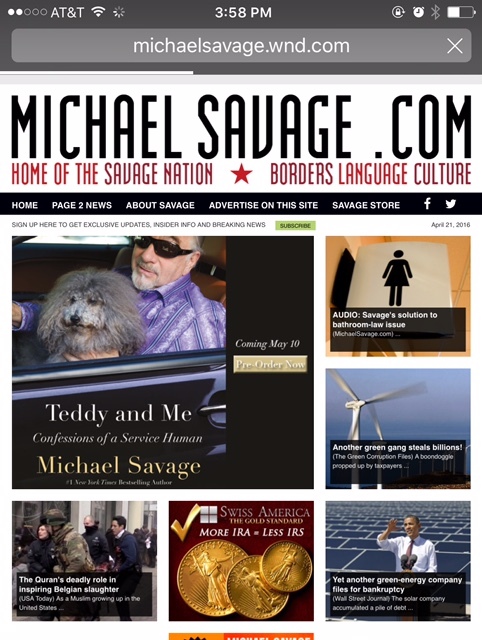 Needless to say, prior to Team Clinton gaining speed, and as I was in the middle of preparing this blog post, a bombshell book emerged, slamming the breaks on Hillary's campaign. Set for a May 5 release (that's tomorrow), "Clinton Cash: The Untold Story of How and Why Foreign Governments and Businesses Helped Make Bill and Hillary Rich, by Peter Schweizer — a 186-page investigation of donations made to the Clinton Foundation by foreign entities — is proving the most anticipated and feared book of a presidential cycle still in its infancy," wrote the New York Times. Since then, the book and its author have dominated the news, from the revelations of a shady Uranium deal with the Russians, to "the lucrative development contracts awarded to foundation donors following the devastating Haitian earthquake in 2010." One Haiti case involves the Caracol Industrial Park, which was expanded upon by Fox News that received “more than $100 million" in US taxpayer money to rebuild Haiti. According to Schweizer, “the three biggest beneficiaries [from the cheap labor the park provides] are actually three retailing companies closely tied to the Clintons. Gap, Target, and Wal-Mart." 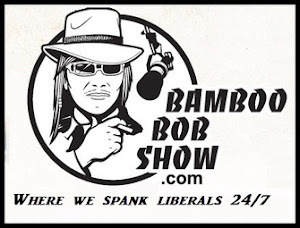 As documented at Breitbart News, Fox News Senior National Correspondent John Roberts also "reported that building the park required kicking people in the area of their land and bulldozing their crops. One of the people interviewed by Roberts said the farmers were ordered to leave at gunpoint. He also spoke to a worker at the textile factory that is the park’s biggest tenant, who said he is paid about $5 a day." "The report concluded that there are only about 5,000 jobs at Caracol, not the 65,000 promised by the US State Department." While I'll get into additional Haiti deals hatched by the Clinton Foundation and their donors (climate change cronies), the April 24, Fox News mini documentary entitled, "The Tangled Clinton Web," reveals much more. Adding to the "web" are the "inflated speaking fess" of former-President Bill Clinton, which are being asserted as a result of Hillary's high-powered secretary of state post, to the fact that the Clinton Foundation even hid some of its donors –– oh, only 1,100 foreign donations it received. Mrs. Clinton, in light of her confirmation hearing to become secretary of state, not only broke her "2009 promise of transparency," she violated her "disclosure agreement" in regards to her foundation and that of her husband. 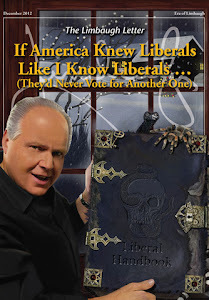 Yet, the Obama White House is silent on the issue –– or when questioned, has deflected, blaming conservative authors. As days passed, the Hill, confirmed that "the Clinton Foundation, [which has also raked in millions of US taxpayer money], will redo a number of tax returns and audit others after Reuters found that it had inadequately disclosed donations from foreign governments." These revelations spurred additional digging into the flow of foreign money to their foundation for favors, especially during Hillary's tenure as secretary of state that began in January 2009 until February 2013, but also Mrs. Clinton's "Complex Corporate Ties." Still, conservatives like Charles Krauthammer slammed the arrogance of the Clintons, because they "thought they’d get away with” it ALL ("trading political favors in return for donations to the Clinton Foundation"). Even as the hits of corruption keep coming, we can expect that the Bill and Hillary Clinton political machine as well as their defenders will do what they've done in the past when backed in a corner: "deny, deflect, and demean." After all: Bill's gotta pay his bills! Clinton Global Initiative: "$100 billion worth of stuff"
It turns out that many of the same "green corruption players" are also donors to the Clinton Foundation. 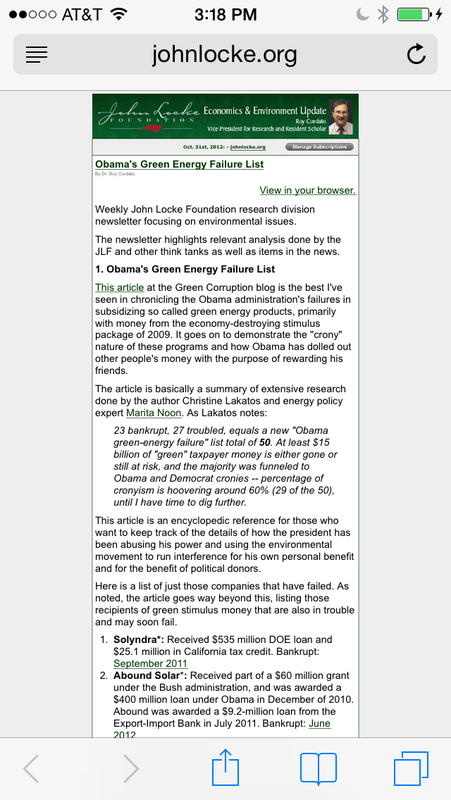 These are those individuals and companies that were big campaign bundlers and donors (some even catapulted to advisors) for Obama as well as other high-ranking Democrats that scored billions of "green" cash from the Obama administration. 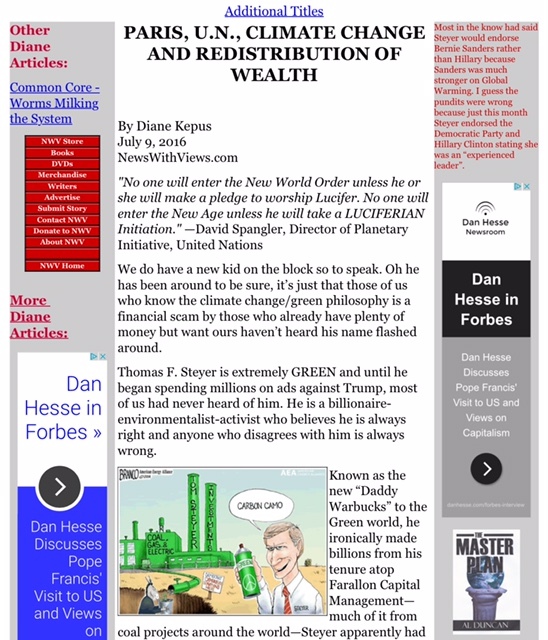 At a quick glance, this includes Bill & Melinda Gates Foundation (tied via Sapphire Energy), Duke Energy, NRG Energy, Goldman Sachs, Open Society (George Soros), Citigroup, General Electric, Google, Soros Foundation, Alcoa Inc, Bank of America Corporation, CH2MHill, Solazyme, Tom Steyer, Heather Podesta, NextEra Energy, Nissan North America, Inc, Enphase Energy, and General Motors Company. There's also AREVA, L. John Doerr, First Solar, Honeywell Inc, Elon Musk, Pepco Holdings, Inc, Suntech Power Holdings Co., Ltd, U.S. Geothermal Inc, Good Energies, Pacific Gas & Electric Company, Silver Spring Networks, Solar Millennium AG, Southern Company, the AES Corporation, and more. 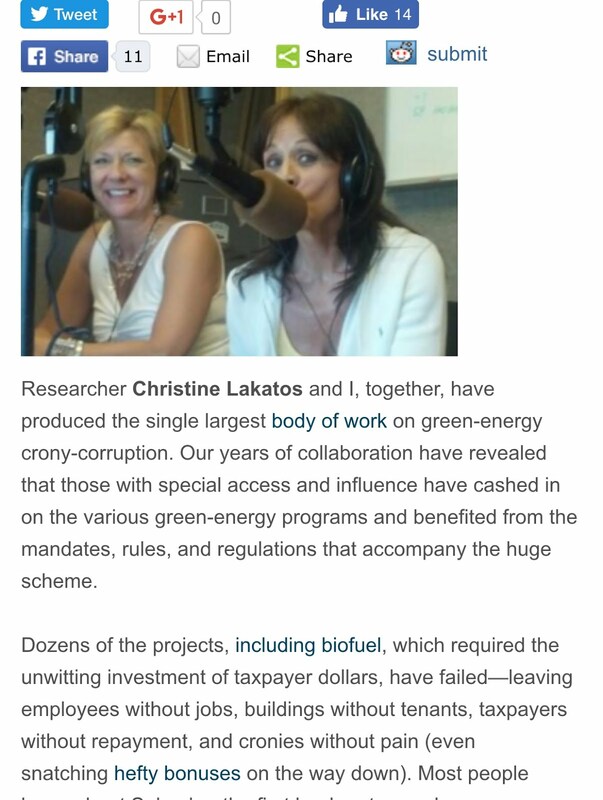 In the mix are radical left-wing individuals and groups that participated behind the scenes, such as Carol M. Browner, the Joyce Foundation, and the Tides Foundation, as well as many other Clinton Foundation donors that are in the green energy business worthy of investigation. 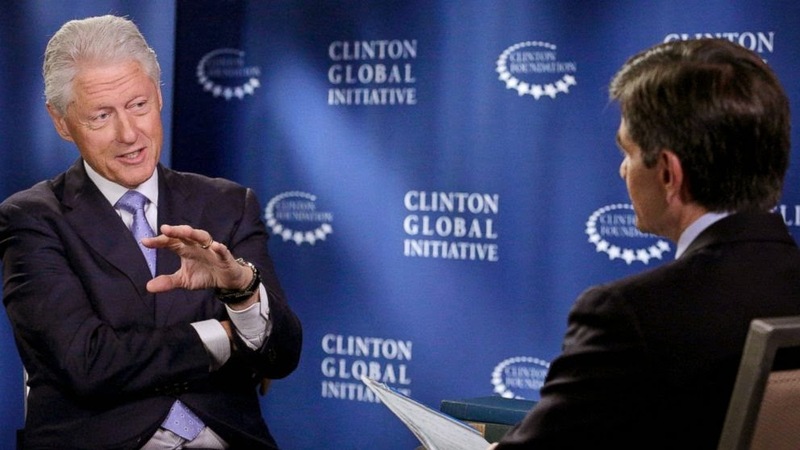 With so many moving parts inside the Clinton Foundation, it's difficult to track the funds and its activities (at least for a regular citizen); however, as far as the Clinton Global Initiative (CGI), it was established in 2005 by President Bill Clinton. And just today, Bill Clinton told NBC News: "There has never been anything like the Clinton Global Initiative... "Where you've raised over $100 billion worth of stuff that helped 43 million people in 180 countries." These 3,200 commitments ("stuff") include tons of climate change (green energy) projects on the docket, of which, in just looking at the beginning of the alphabet (see list below), are hardly charity. They are more like activism, with numerous that are either spearheaded by Clinton-Obama green cronies or they are part of the deals. Meanwhile, the Clinton Global Initiative Annual Meetings, which cater to the mainstream media as well as the rich, famous and powerful, also have "featured" a handful of President Obama's cabinet members such as Timothy F. Geithner, the former Secretary of the Treasury as well as John Podesta, who served as Obama's advisor from late 2013 until February of this year. In 2010 Mr. Obama joined Bill Clinton at the 6th annual meeting of the CGI –– while he was also a "featured attendee" in 2012. 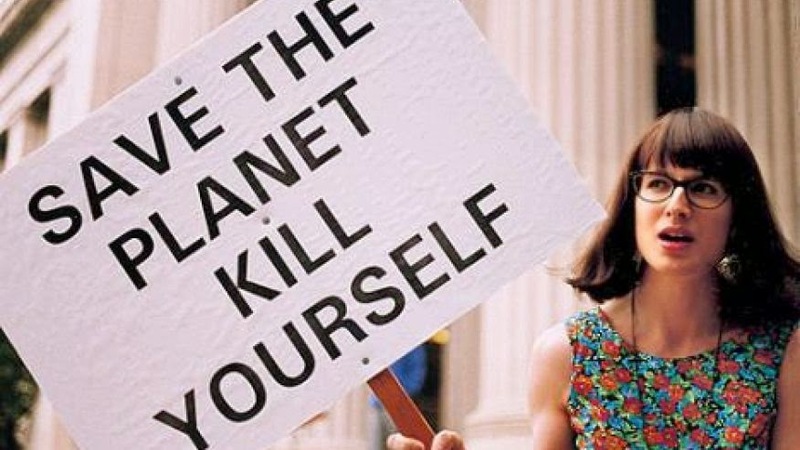 At the 2010 Clinton conference, then-Secretary of Sate Hillary Clinton was there to launch an expensive state department "green global program." During the foundation's "plenary session on Empowering Girls and Women" she appeared to discus the Global Alliance for Clean Cookstoves (the Alliance). At that time, the foundation described this Global Green Stove Movement as "a new commitment made by the U.S. State Department, the U.N. Foundation, the World Food Program, Royal Dutch Shell, the World Health Organization, the U.S. Environmental Protection Agency, and other public and private partners. Together, they committed to help 100 million households adopt clean and efficient cookstoves and fuels by 2020." According to the foundation, "In total, 45 new commitments [were] announced [on September 21, 2010] to alleviate poverty, increase access to health care and education, and create a cleaner environment" –– of which, by the way, one of these million-dollar donations will be relevant to a Haiti story that I'll expose later in this blog. Sounds great, but we the taxpayers are footing part of the bill: "Through 2014, the U.S. Government has obligated over $80 million to the clean cooking sector and the Alliance – outpacing its original 5-year commitment of $50 million through 2015. U.S. government support [that also spans many federal agencies, including the State Department, the EPA, the Department of Energy, Department of Health and Human Services, the CDC, and USAID] to help The Alliance promote a more effective cookstoves sector could reach as much as $325 million through 2020." 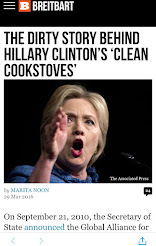 Moreover, Mrs. Clinton, whom is given the credit for the birth of the Global Alliance for Clean Cookstoves by its Chief Executive Officer Radha Muthiah, is currently listed as part of their "Leadership Council," which began sometime in September 2013 –– as is the current head of the EPA, Gina McCarthy. With stars like Julia Roberts now labeled as champions of the movement, their "Alliance Partners" are worldwide, but also its "Strategic Partnerships and Alliances" (list below) includes Hillary's foundation. This not only warrants an investigation, but makes you wonder what other taxpayer-funded green energy programs, initiatives, and the like that Hillary cooked up while secretary of state that favored her foundation and her friends. Charity, Money Laundering Machine... or both? The Clinton Foundation, a charity with its "globe-spanning efforts to combat AIDS, obesity and poverty," as most know was founded by the former President Bill Clinton in 2001, and is run by the Clintons, of which, since its founding has raised approximately $2 billion. 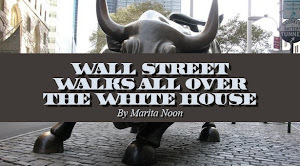 At any rate, as the story goes: Hillary Clinton came out of the First Lady ashes in 2001 "dead broke" and reigned as the senator of New York from 2001 to 2009. After losing the Democrat nomination for the presidency in 2008, she then served as President Obama's secretary of state from January 2009 until February 2013. In the coming weeks, the foundation, long Mr. Clinton’s domain since its formation in 2001, will become the nerve center of Hillary Rodham Clinton’s increasingly busy public life. Now called the Bill, Hillary and Chelsea Clinton Foundation, they claim that "88 percent of the money it raises goes to actual charity work." However, as of late, many influential organizations have come out disputing this, of which Fox News noted: "Experts who have looked at the books put the number at 10 percent," while some years only 6 percent. The Federalist exposed that "when anyone contributes to the Clinton Foundation, it actually goes toward fat salaries, administrative bloat, and lavish travel." Thus, this notorious charity has been placed on numerous watchdog lists, while some are deeming it a "slush fund," possibly "a foreign laundering operation," or much worse. 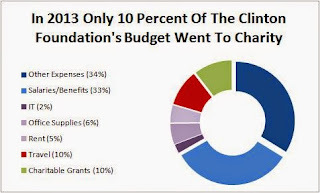 In addition, the Clinton Foundation has been pushing climate change for sometime as reflected in their mission statement: "We convene businesses, governments, NGOs, and individuals to improve global health and wellness, increase opportunity for women and girls, reduce childhood obesity, create economic opportunity and growth, and help communities address the effects of climate change." 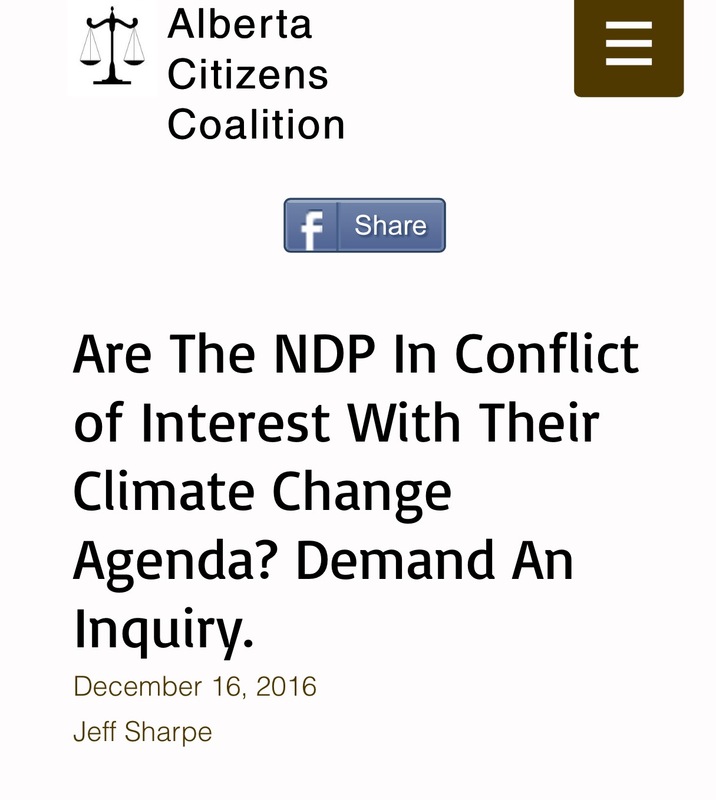 On the other hand, the Clinton Climate Initiative (CCI), which is reported to be the "global warming vision" of Bill Clinton and his pal Ira Magaziner, the CEO and Vice Chairman of the Clinton Health Access Initiative (CHAI), and the brains behind the Clinton Foundation, began in December 2005. 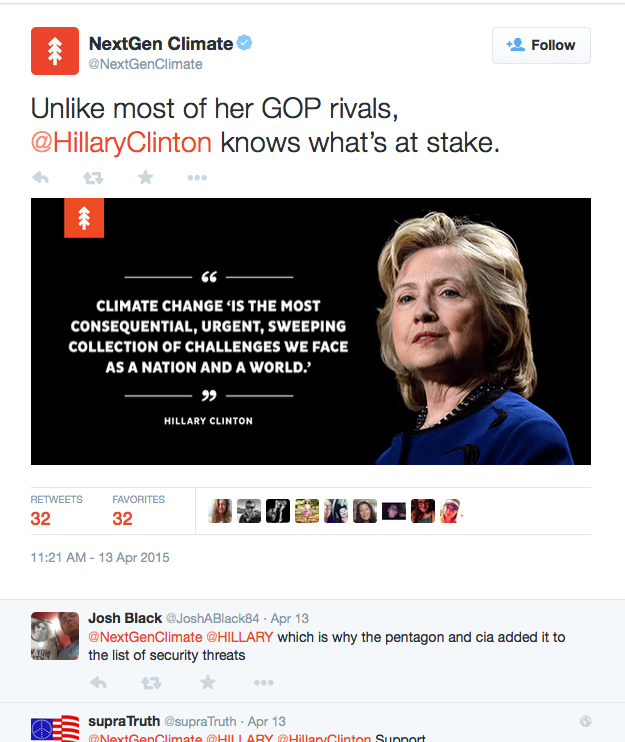 Around a year after the CCI was formally announced (2007), Hillary calmly championed "protecting our planet;" however, by September 2014 she had morphed into a "climate change hysteria" creature, which has wreaked havoc across the globe. 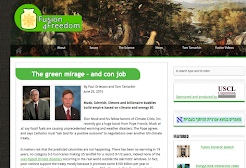 This event (7th annual), a Center for American Progress and the Clean Energy Project, starred Mr. Podesta, an array of Obama-Clinton green cronies, as well as Dymphna Van Der Lans from the Clinton Climate Initiative. 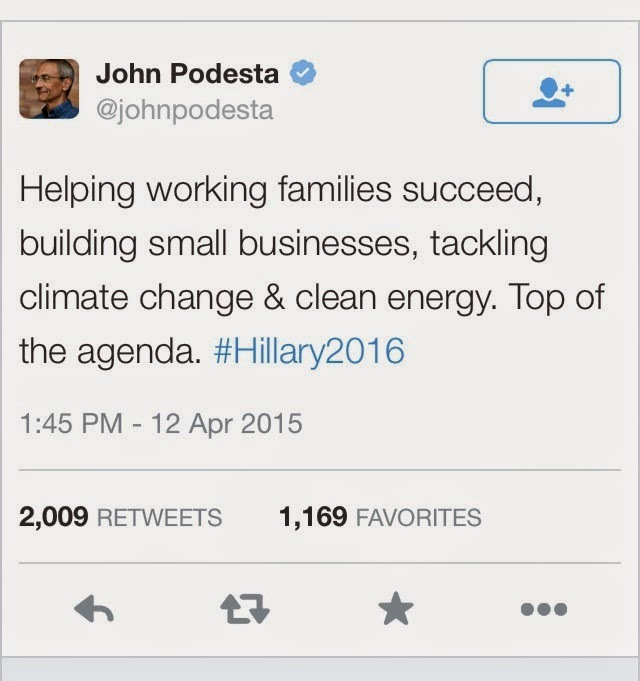 More recently (April 12, 2015), Podesta, via twitter, confirmed that climate change is a big part of Hillary's 2016 agenda. As a reminder: Early on, Hillary tapped Democrat heavyweight John Podesta, the co-founder of the progressive think tank Center for American Progress (known as CAP), which is also funded by liberal billionaire George Soros, whom has a massive footprint inside green corruption, to head her 2016 presidential bid. 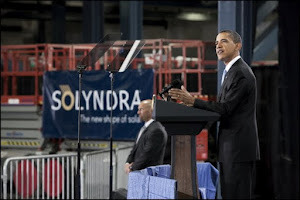 CAP not only has deep ties to the Clintons, but has been, along with its wealthy donors and members that infiltrated and held key positions inside the Obama White House, his Green Team, and his Energy Department, the dark, driving force behind President Obama's expensive and deceptive green energy scheme, which also involves John Podesta's brother Tony Podesta –– dubbed "The Lobbyist" by Newsweek. In 2008 and early 2009 Podesta, an Obama bundler, while still at CAP ran Obama’s transition team (along with a squadron of CAP fellows) as the co-chair, along side Valerie Jarrett and Peter Rouse. 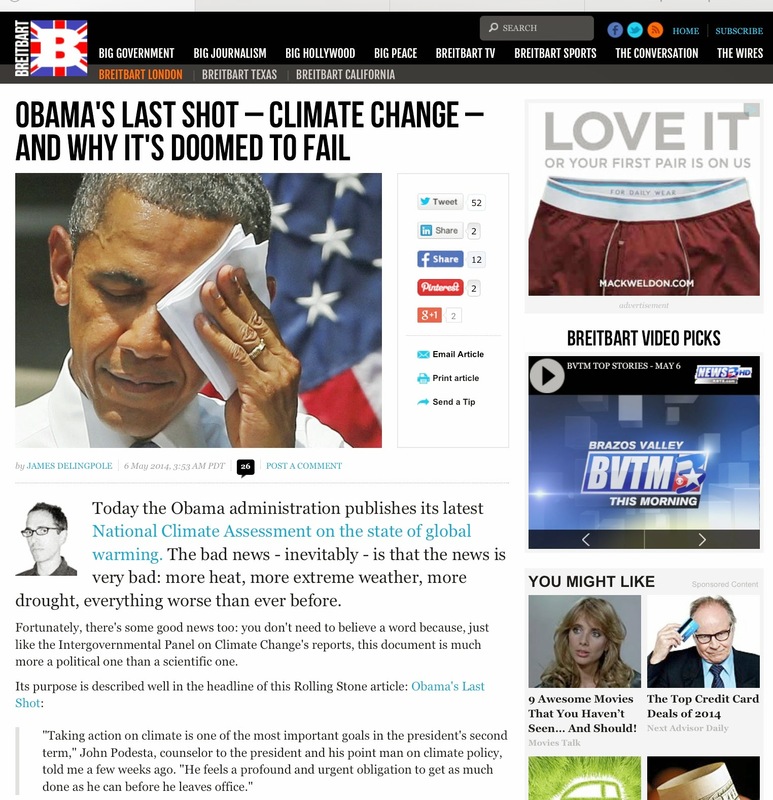 Meanwhile, by 2011 Podesta stepped down from his CEO role and became the Chair of CAP its "Action Fund," but at the end of 2013, he left this powerful group to join the White House in the new role as Obama's "executive power czar," of which climate change has been a top priority –– a position that carried at least one major "green" ethics violation. Podesta stepped down in February of this year to join the Clinton campaign apparatus. Podesta, a close friend and longtime political ally of the Clintons, as most know, served as Bill Clinton's chief of staff as well as his scandal deflector and more. Last but not least, Mr. Podesta, according to the Christian Science Monitor, "Has held a top role in the family's charitable foundation" –– and was a "featured attendee" at the CGI annual meetings in 2011 and 2012. 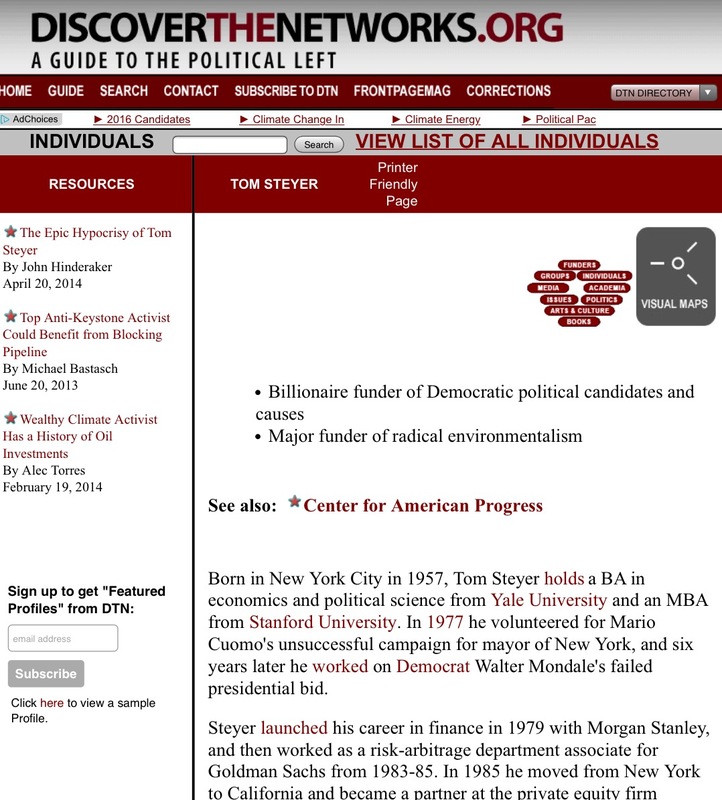 For those following my work, know that during the 2014 midterms I profiled Steyer, who is also part of CAP, twice: HERE and HERE. 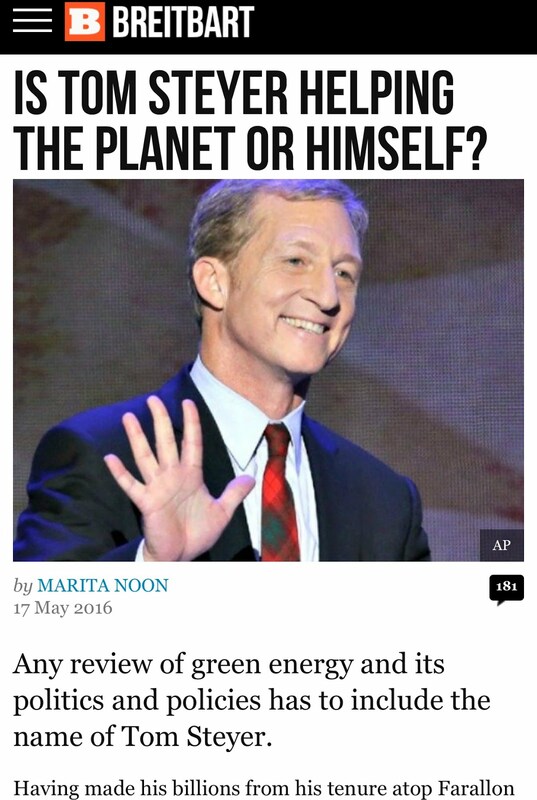 In short: Steyer, directly linked to President Obama since 2008 as a consultant, bundler and "energy policy driver," won his fair share of green cash from the Obama administration. 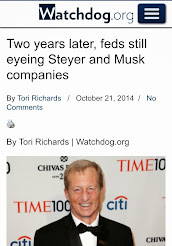 Steyer has also emerged as political powerhouse for the Democrat Party, declaring war against Republicans –– more specifically, he did so during the critical 2014 midterm election, which became a desperate fight over control of the senate. 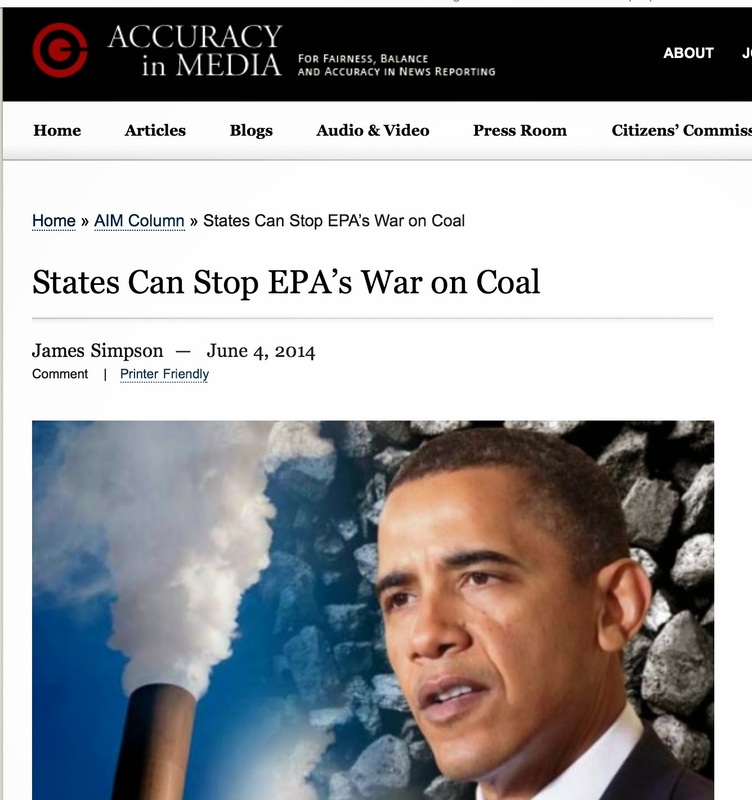 Needless to say, the irony at that time (and now) was not so much that this wealthy liberal, who made his fortune from oil and coal, was targeting Republican candidates in seven key senate and gubernatorial races; it was Steyer's climate machine's choice of weaponry. This liberal BILLIONAIRE, who poured more than $70 million of his fortune into the 2014 races, bombed the airways with ads attacking GOP candidates... wait for it... associated with BILLIONAIRES. 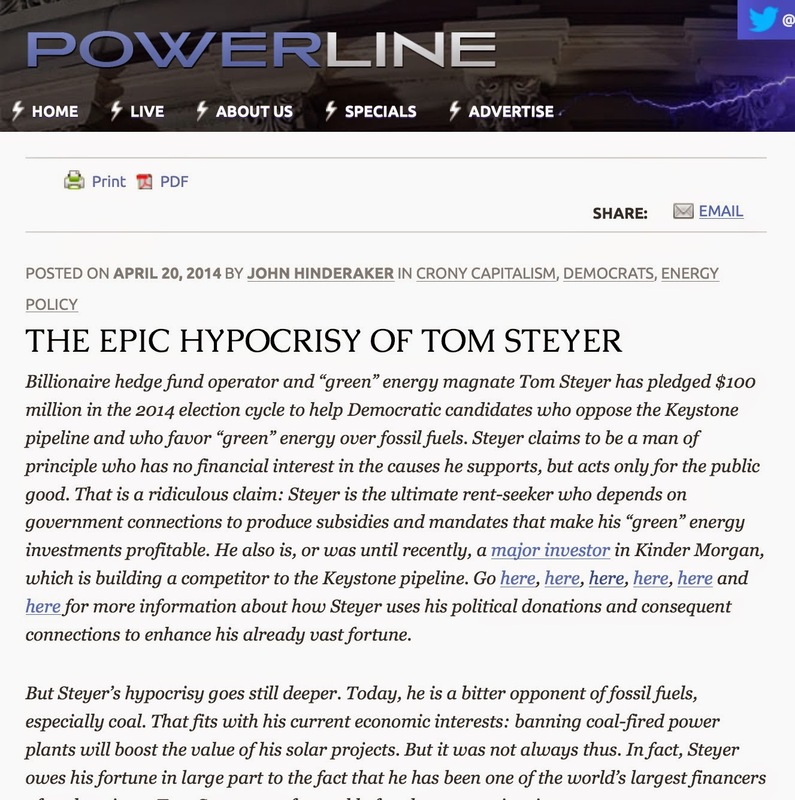 And, Steyer is at it again: He's targeting the 2016 Republican presidential field on climate change issues in battleground states –– with the strategy of linking them to BILLIONAIRES! By the way, about a week ago, it was made known that Steyer would be hosting a fundraiser for Mrs. Clinton, of which apparently, is set to take place on May 6th at the home of Steyer and his wife, Kat Taylor. 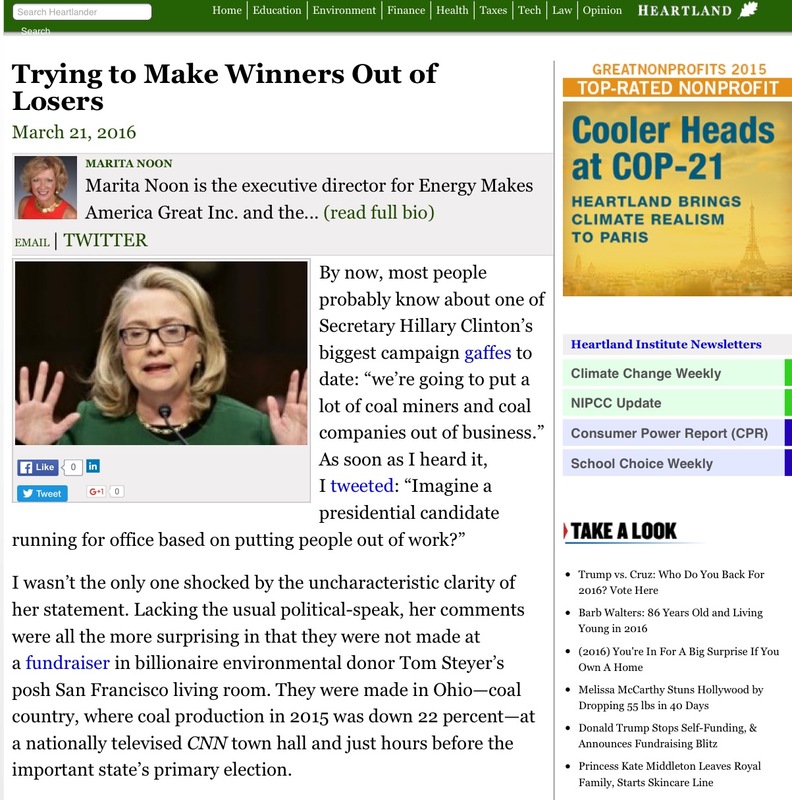 POLITICO, while addressing the Keystone pipeline issue (Hillary has yet to take a stance), reported that the "Clinton’s fundraiser with Steyer will be followed on May 7 by an appearance at the home of longtime friend — and vocal Keystone opponent [as is Steyer and his acolytes] — Susie Tompkins Buell, co-founder of the Esprit clothing company." Still, Podesta, Soros, CAP and Steyer are not the only climate change operatives used by the Obama administration that have surfaced as part of Clinton’s Team, her big donors, allies, and friends, as well as those close to her foundation. Dem Governor, Terry McAuliffe: Big Green Scandal, "Visas for Sale"
Another includes a very close friend of the Clintons: Democrat Virginia Governor Terry McAuliffe, who chaired Hillary's 2008 campaign, had also "signed on to the board of directors of the William J. Clinton Foundation back in 2000" –– and was still listed in 2013. 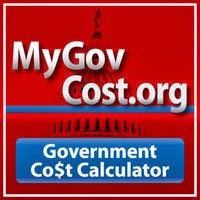 According to Watchdog.org, "Terry McAuliffe was trustee of [the] world-famous charity that in two straight years [2007 and 2008] burned through $317 million in donations and grants and ended up with a $43 million deficit." 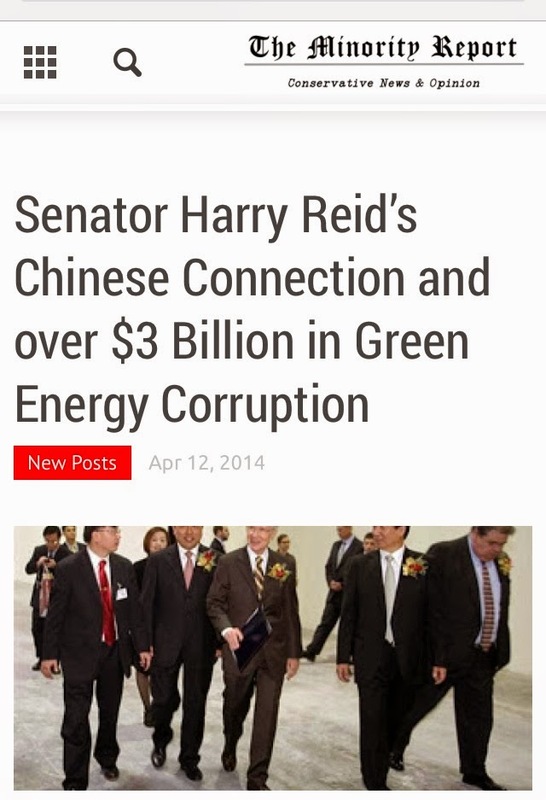 McAuliffe is still embroiled in a "big green scandal" that involves his small ECO-Car GreenTech Automotive), visas for sale, as well as Senator Harry Reid and Tony Rodham, a brother of Hillary –– a green corruption story that Marita Noon and I covered in September 2013. 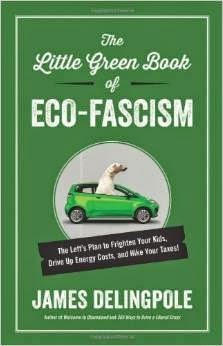 HERE –– Virginia Governor Dem Candidate Terry McAuliffe’s GreenTech Auto: small eco-car, big green scam? Morevoer, McAuliffe, even before the "Clinton Cash" book eroded her campaign, has been on an apology tour. In February, he came out to defend Hillary "from criticism that the Clinton Foundation took donations from foreign governments" because ALL that loot "went to a charity" and "it helped a lot of people." In April, McAuliffe defended Mrs. Clinton's "claim that her family was bankrupt after leaving the White House." There's also Jeffrey Immelt, a friend of President Clinton (seems Bill had him on speed dial while he was president and needed to change his light bulbs), whom is the CEO of General Electric (GE), which also had direct ties to President Obama via big campaign donations and more. 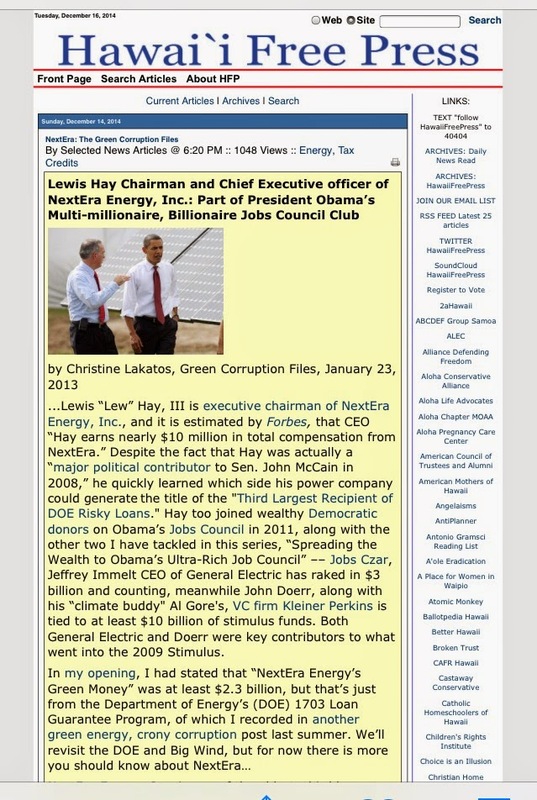 Immelt served as head of the president's jobs council from early 2011 until it shut down in early 2013, while GE "made bank" off of the president's green energy stimulus funds. The Daily Caller reported that "Secretary of State Clinton lobbied the Algerian president in 2012 to pick GE as a contractor for Algerian power plants." 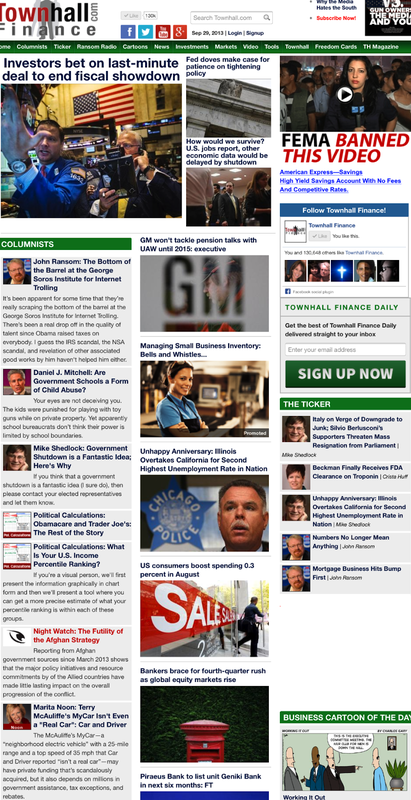 As chronicled by the Wall Street Journal, this was directly "after the Clinton Foundation approached GE about working together to expand a health-access initiative the company..."
A month after Mrs. Clinton’s trip, the Clinton Foundation announced the health-initiative partnership with GE, the company’s first involvement with the foundation. GE eventually contributed between $500,000 and $1 million to the partnership. Yet, when confronted about this wheeling and dealing, Immelt outright refused to "release the emails that GE exchanged with Hillary's State Department during the period in which GE was donating to the Clinton Foundation"–– of which GE, in 2014, donated again, and is still listed at the $500,000 and $1 million mark. Last but not least is another pal of the Clintons: the CEO of NRG Energy, David Crane, a major Democratic donor, who served as a bundler for Hillary Clinton in her 2008 presidential run. 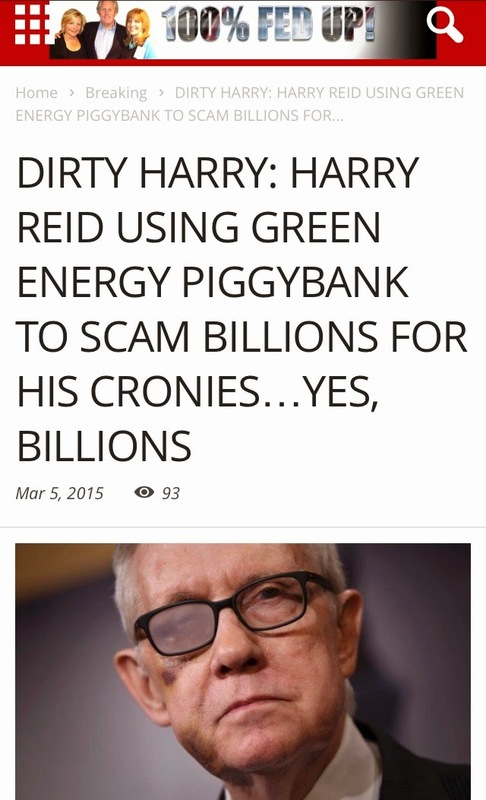 Not only that, but Crane personally placed his bet on Hillary, only to later, and along with other NRG executives, side with then-Senator Obama –– and again in 2012. 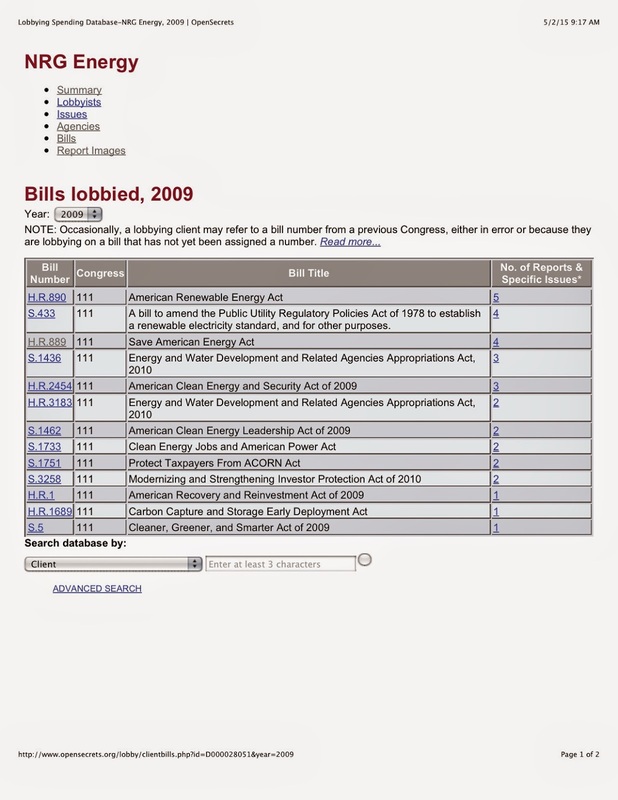 In fact, as documented by the Center for Responsive Politics, NRG Energy has donated to both political parties, primarily to Republicans in 2006; however, the shift has gone predominately blue since 2008. 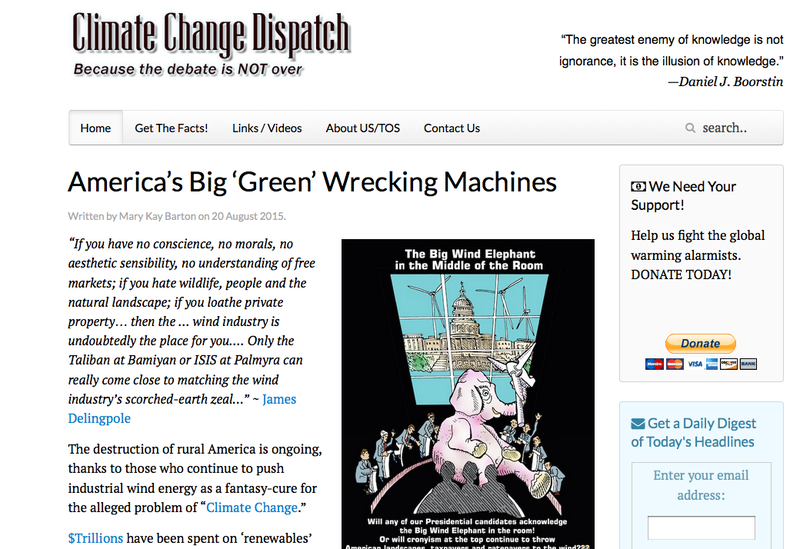 Both NRG Energy and Crane have been aggressively pushing clean energy, and according to Mark Gunther of GreenBiz.com in 2011, "[Crane] is passionate about the climate crisis –– he was active in USCAP, the failed big biz-big green coalition that lobbied for federal regulation of greenhouse gases." 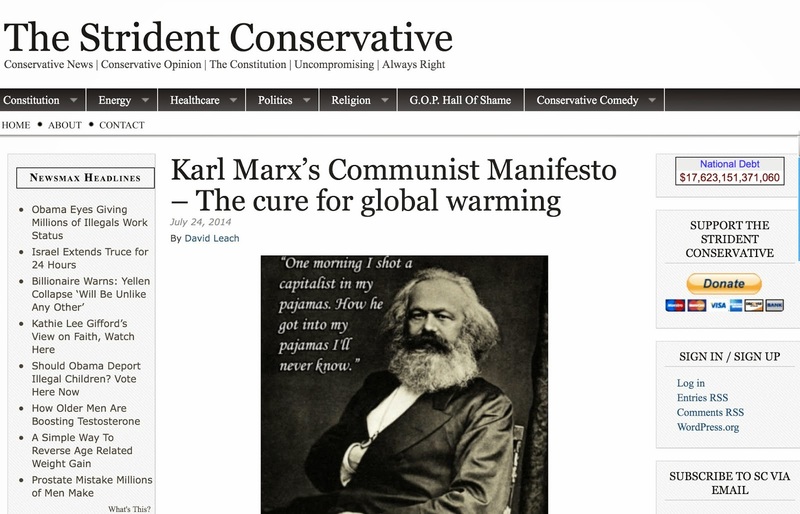 And last year, while pushing for a carbon tax, echoing remarks made by our Climate Change Fear Monger in Chief, Secretary of State John Kerry ("climate change is as big a threat as terrorism, poverty, WMD's"), Crane called global warming “the single greatest issue that mankind faces." Gunther, also noted the following: "He’s [Crane] a friend of the Clintons, which is one reason why, NRG made a $1 million contribution through the Clinton Global Initiative to deliver solar power to Haiti." Much more on Haiti later, but at this juncture it's important to point out that the 2010 check was not the last contribution NRG made to the Clinton Foundation. 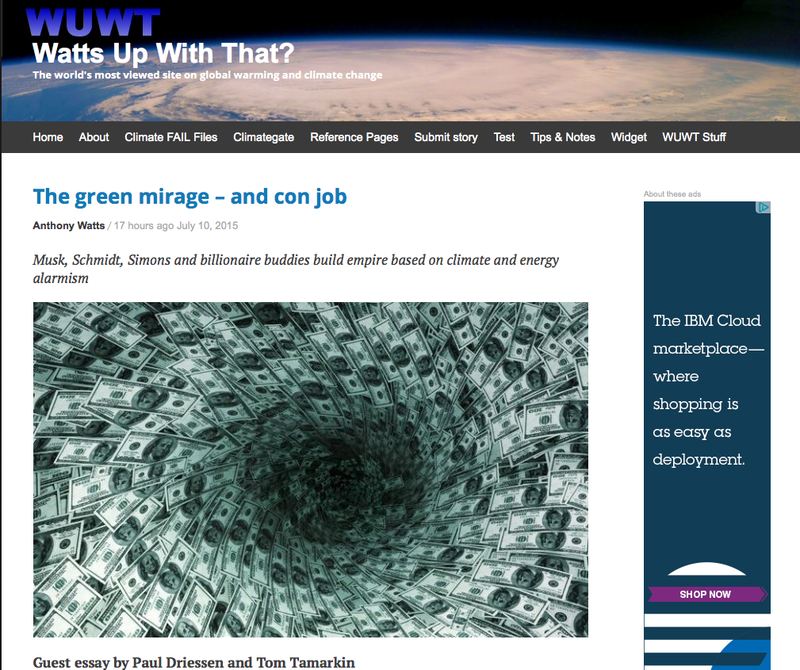 Their site (*) notes "that a contribution was made by this donor in 2014," placing NRG Energy's total giving thus far at anywhere between 1 million to 5 million dollars. 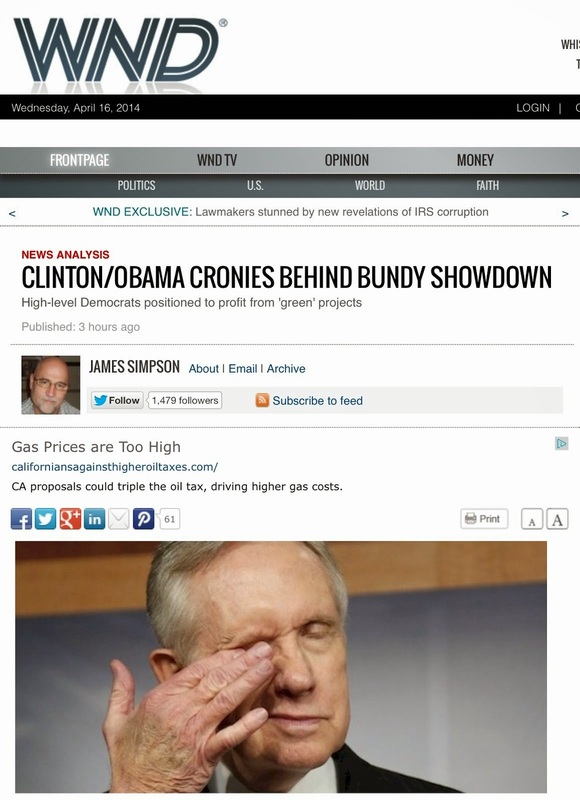 Nevertheless, this NRG Energy-Clinton connection was tucked inside my March 2013 Green Corruption File on the left-wing billionaire George Soros (another major Clinton Foundation donor), who not only bankrolled Obama's elections, but also helped craft Obama's trillion-dollar stimulus package. 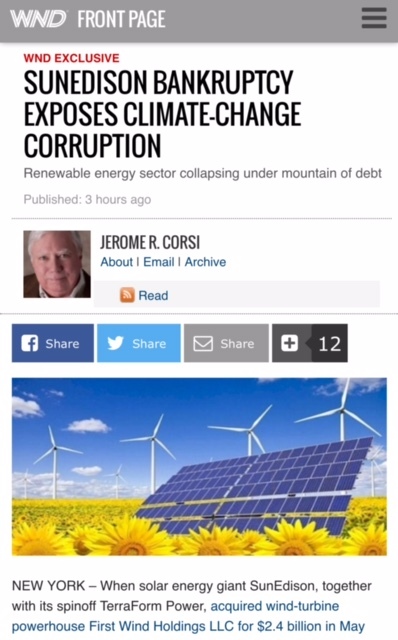 Soros, via timely investments in renewable energy, including 500,000 shares of NRG Energy, then ultimately financially benefited from the 2009-stimulus law that he helped steer. 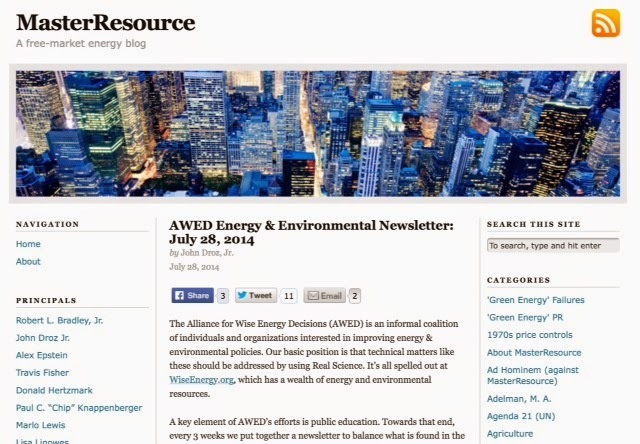 NRG Energy Inc. is a mega energy firm that "supports clean energy resources and technologies critical to our transition to a sustainable, low carbon society." 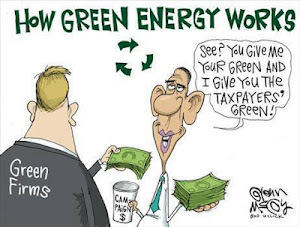 Along with its subsidiaries, it was also the recipient of the majority of the stimulus loans dished out by the Obama administration as well as other green cash. At that time, NRG had secured $5.2 billion of taxpayer money for four solar projects that were part of the Department of Energy's (DOE) "Junk bond" portfolio, yet the Prologis $1.4 billion deal was pulled. Crane, NRG's highly paid president and CEO (since 2003), who is also a stock owner, in reference to his firm scoring so much "green," had this to say back in 2011: “I have never seen anything that I have had to do in my 20 years in the power industry that involved less risk than these projects.” “It is just filling the desert with panels,” he added. NRG Energy, Inc. (BrightSource) was awarded a $1.6 billion stimulus loan for the California Ivanpah Solar Plant, which also involves Google, Vantage Point and others. It turns out that sometime in October 2010, during the time of their DOE loan review process, “NRG became the lead investor ($300m) in Ivanpah solar project. According to the DOE, "The construction phase necessitated 1,000 full-time employees. During operations, the three power tower plants will provide 86 permanent jobs." Ivanpah Solar Plant officially opened in February 20143; however, last November, despite the fact that the $1.6 billion loan was a shady deal in the first place, it was reported that due to lack of sun in California, they (NRG Energy, Google and BrightSource) needed (expected) $539 million of free taxpayer cash to pay back their DOE loan. NRG Solar, LLC received a $967 million stimulus loan for the Agua Caliente project located in Arizona, whereas as the DOE loan guarantee was announced (August 2011), the project was purchased from First Solar by NRG Solar, LLC, a subsidiary of NRG Energy –– with First Solar still involved. According to the DOE, "The Agua Caliente project in Arizona has been supplying increasing amounts of electricity to the grid since January 2012, and is expected to reach full commercial operations in March 2014." JOBS: "The project is expected to create 400 construction jobs and 10 permanent jobs." 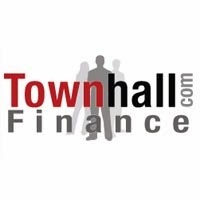 The $1.187 billion conditional loan to SunPower Corporation was announced on April 12, 2011, and shortly thereafter (April 30, 2011), the French oil conglomerate Total committed to buying a $1.37 billion controlling stake (60%) in SunPower Corp –– a bailout that was confirmed in June 2011. 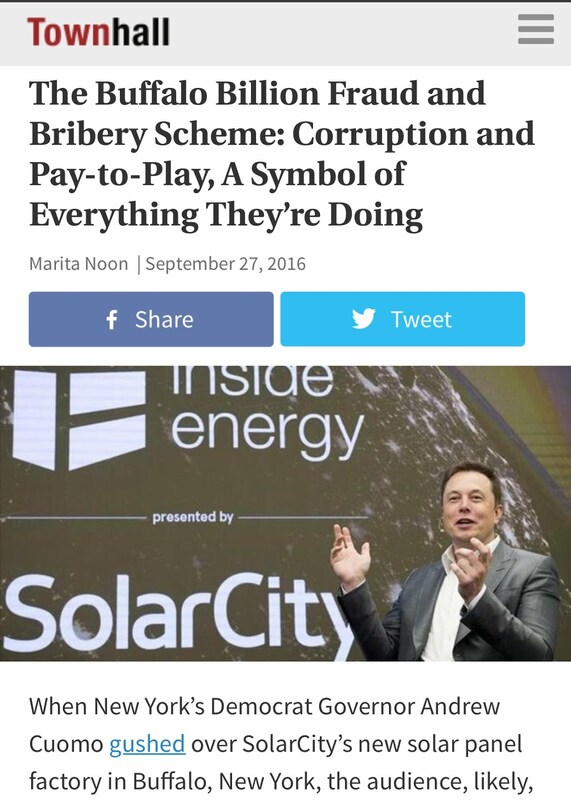 Now, SunPower never directly got the cash, because on the final closing of the DOE loan guarantee, they sold the California Valley Solar Ranch (CVSR) to NRG Energy. However, SunPower continued on as the developer and Bechtel as the primary contractor building the project. In September 2011 the $1.2 billion stimulus loan was finalized for the CVSR located in San Luis Obispo County. 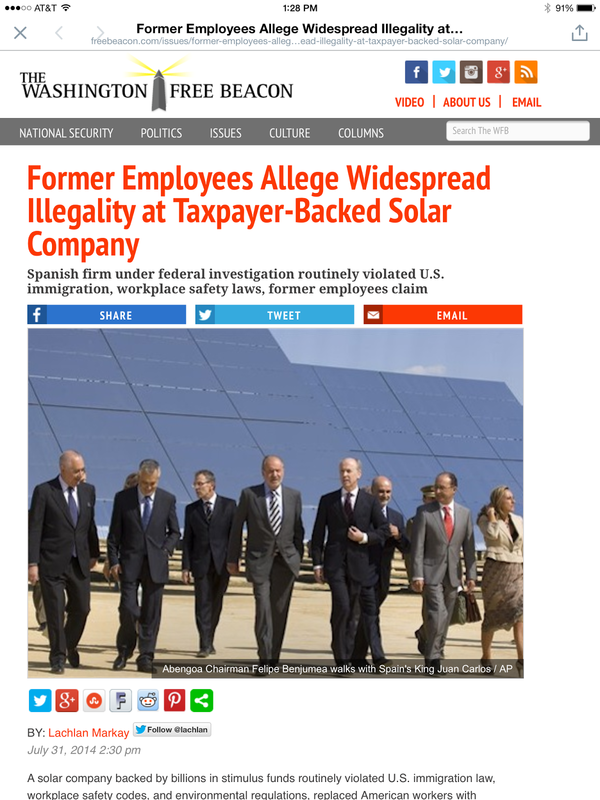 While this gigantic solar project also received special state tax breaks, it was reported in 2011, that when the construction was complete, "NRG would be eligible to receive a $430 million check from the Treasury Department," which is part of the 1603 stimulus grant program. The DOE states that the project reached commercial operation in October 2013, and "produced 350 construction jobs and will maintain 15 permanent jobs during operation." These highly-speculative DOE loans were put on a fast-track process from the president, which included NRG's Agua Caliente solar project that is also part of the $3 billion First Solar Swindle –– and all were approved, between 2009 and 2011, which was during Hillary Clinton's time as secretary of state (January 2009 to February 2013). 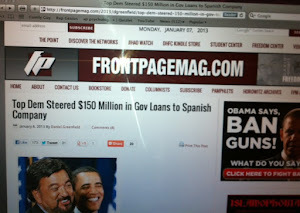 We also know that during the time of the loan review process, Crane also met with key DOE officials and was fraternizing with at least those inside the Invanpah $1.6B deal: in March 2011 it was John Woolard, then CEO of BrightSource Energy as well as John Bryson, Chairman of the company’s board of directors. Bryson, shortly thereafter (nominated about a month later), became President Obama's Commerce Secretary –– only to mysteriously resign in June 2012. Internal Energy Department emails show that in March 2011 they –– Woolard, Bryson and Crane –– were interacting in regards to an April 2011 fundraising gathering ("more intimate 10-12 person dinner involving CEO or CEO-level executives from across the energy sector...") that Crane was having at this home in Princeton NJ for Democrat Louisiana Senator Mary Landrieu, whom is listed as top recipient of campaign cash from NRG Energy. Senator Landrieu, as you know, is one of the most knowledgeable and passionate members of the senate when it comes to issues of energy and energy independence. Moreover, from her position as a subcommittee chairman and senior member of both the Senate Energy Committee and the Senate Appropriations Committee, she plays a critical role in shaping energy legislation in the formative stages. Unfortunately, Bryson had to decline to attend, because he had a previous commitment in California: He was"joining Ted Craver for a small dinner with [Democrat Senator] Diane Feinstein in the next two weeks, and we will certainly talk energy policy with her at that time." 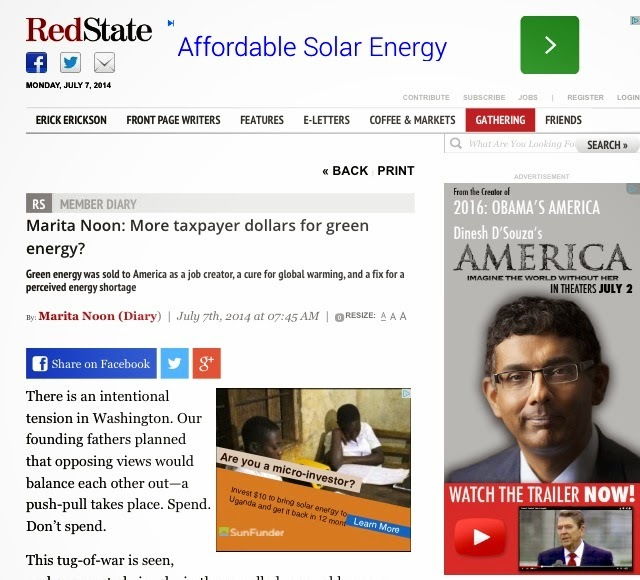 Despite the fact that these large solar loans and grants were issued while Hillary was secretary of state, I have yet to find evidence of any "influence peddling" on her part (although she destroyed the e-mails); however, a recent report, "181 Clinton Foundation donors who lobbied Hillary's State Department," places NRG on that list. 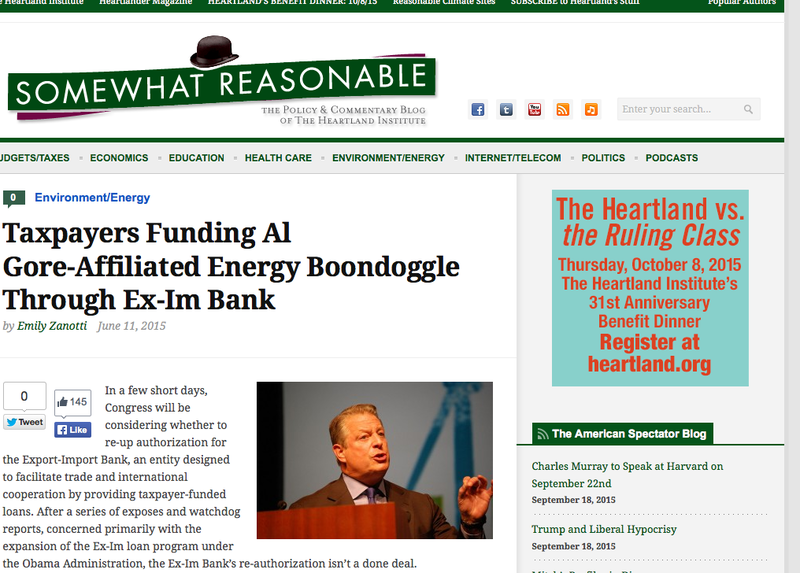 We also know that the Center for Responsive Politics records that since 2000, "NRG Energy has spent $16,364,020 in lobbying efforts" –– with their main industry labeled as "electric utilities." 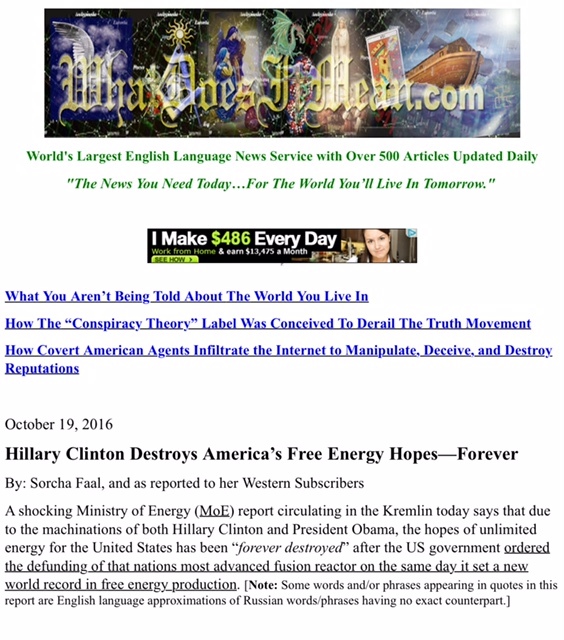 Still, in 2009 NRG Energy lobbied eleven government agencies, of which obviously the Energy Department was in the top three; however, also on that list is Hillary's State Department. 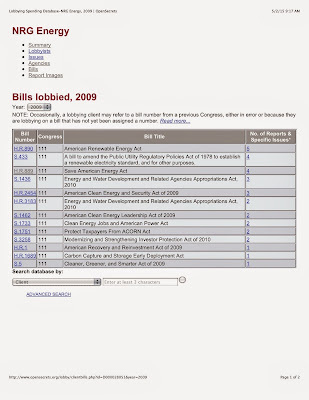 Moreover, the legislation's that NRG Energy pursued in 2009 are quite interesting (see chart left taken from the Center for Responsive Politics) as well as the fact that in 2014, NRG Energy brought on board, Steve McBee, founder, president and chief executive of the lobby and advisory firm McBee Strategic, whom is another key player that has not only been operating inside this green energy scheme (especially in securing NRG Energy's $1.6 billion BrightSource deal), but made millions doing so. 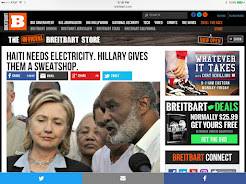 Needless to say, being a friend of the Clintons as well as a big donor (between $1,000,000 to $5,000,000 so far) with Mr. Crane also a guest blogger for the Clinton Foundation has been very lucrative for NRG Energy in of all places... Haiti. 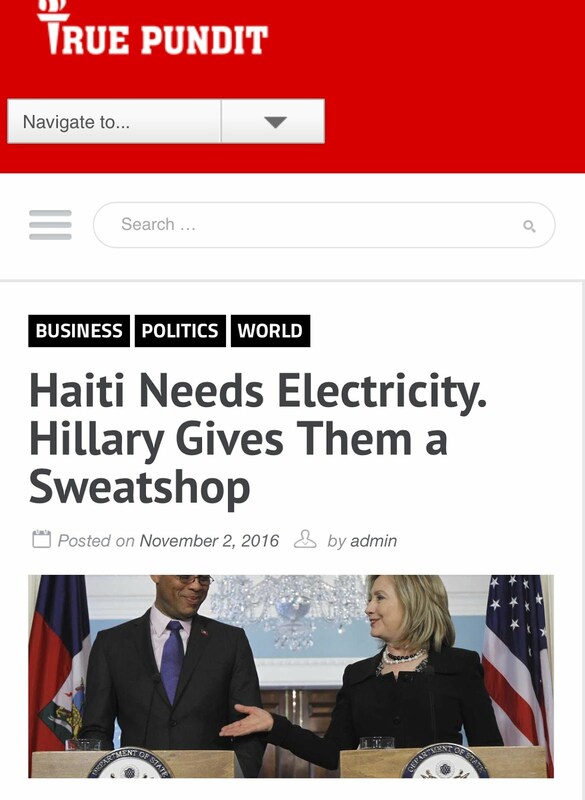 But the Clinton Foundation went into action, heralding, "Since 2010, the Clinton Foundation has raised a total of $36 million for Haiti, including relief funds as well as projects focused on supporting Haiti’s small and medium businesses, improving livelihoods, enhancing education and exploring the nexus of agriculture, energy and environment." Moreover, via the CGI, the foundation "has been investing in green energy in Haiti to boost Haiti’s recovery, recognizing that providing efficient renewable energy sources to reduce energy costs and dependency on fossil fuels are key to improving Haiti’s energy structure." 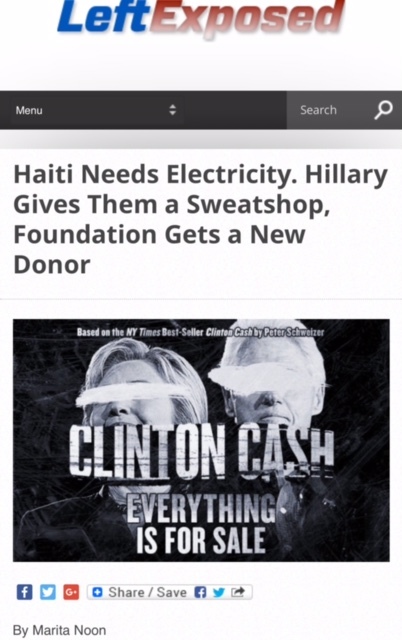 And, while “Clinton Cash” author Schweizer already released some of his findings on how US taxpayer money (USAID committed over $3.6 billion toward relief, recovery, and reconstruction of Haiti –– with $2.3 billion spent as of June 30, 2012), and contracts in Haiti profited Clinton Foundation donors and relatives, there's another area worthy or scrutiny: the Clinton Foundation-NRG Energy Haiti Solar Mission. Many months after that terrifying earthquake, is when NRG made that $1 million contribution through the CGI to deliver solar power to Haiti. What's interesting about this 2010 NRG Energy hefty donation, is that it was announced at the same time as Secretary of State Hillary Clinton's "Global Alliance for Clean Cookstoves" –– AKA the Global Green Stove Movement, profiled earlier. As I noted, at the 6th Annual Meeting of the CGI, they had a total of 45 new commitments in order to "alleviate poverty, increase access to health care and education, and create a cleaner environment" –– and NRG Energy's $1 million dollar donation was on that list. Also, as far as those Clinton conferences, NRG Energy has been a "meeting partner," while Crane was a "featured attendee" in 2011 and 2012. At any rate, the monies went to fund the project, The Sun Lights the Way: Brightening Boucan Carre, which mission was "to provide clean, safe and inexpensive electric power for fish farming, irrigation pumps, street lights and schools –– creating a model that can be replicated in other areas." organization in rural solar electrification with practitioner experience in 20 countries in Africa, Asia and the Americas — including Haiti, where SELF is building solar-powered health clinics with the Partners In Health (PIH) aid organization." 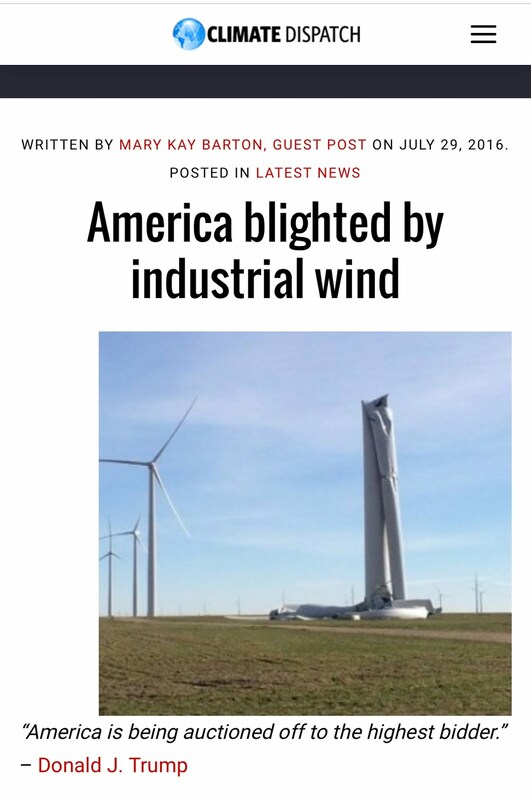 Richardson is ensnared in a huge green energy scandal that I unleashed in May 2013: "Whistleblowers Expose Rampant Corruption Inside Spanish Conglomerate Abengoa Subsidized with Billions in U.S. Green Energy Stimulus Funds." Meanwhile, Mr. Silver, who served as the Executive Director of the DOE Loan Programs Office from November 2009 to early October 2011 (during Hillary's time as secretary of state), is one of my favorites. 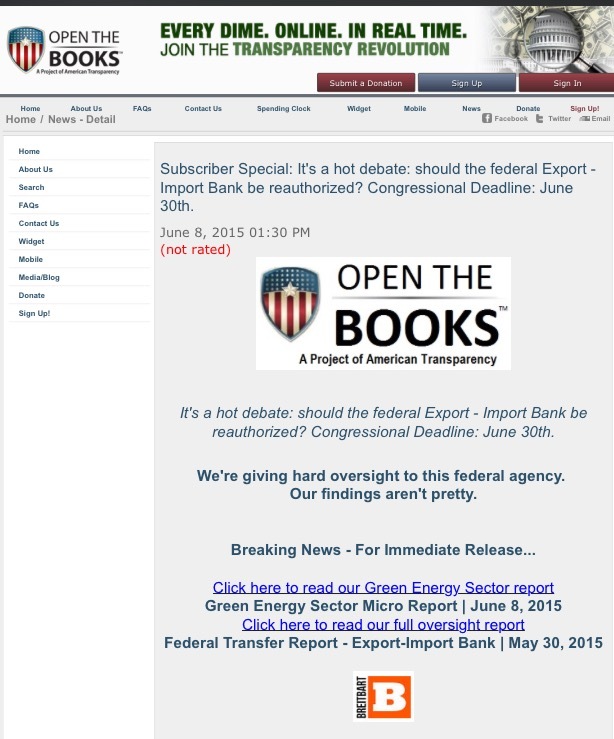 Due to Silver's powerful position inside the DOE during his close to two-year stint (the man in charge of the loan program that also executed the fast-tracked process imposed by the president), I've written extensively about him since July 2010 when I first began unleashing my green corruption research. 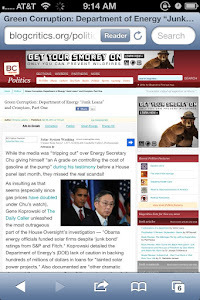 However, it was the July 2012 Oversight Committee hearing when Silver's shady email practices (similar to Hillary's) were revealed, which heated up my efforts in tracking the executive director, which includes reports that he was an Obama bundler as well as the fact that he has quite the impressive background -- of which my latest on Silver is found here. Now, he's at SELF! When did that happen? On January 7, 2011, the Clinton Bush Haiti Fund gave SELF a $500,000 grant for the same project. By early 2012 the installations at the Lashto Fish Farm and the first school was completed, which were toured by Bill Clinton, Bob Freling (SELF executive director), and NRG's David Crane, who was also the co-host of the trip –– of which, in August 2013, caught the attention of the New York Times: "Unease at Clinton Foundation Over Finances and Ambitions" which demonstrated a pattern of favoritism to donors. 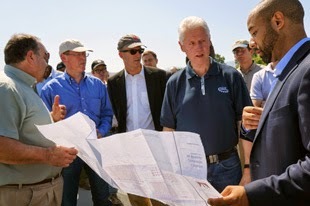 This special visit on March 9, 2012 was accompanied by a Press Release: "President Clinton Announces Four New Commitments to Provide Solar Energy to Haiti," of which there are more familiar green energy names such as SunPower and General Electric worthy of scrutiny. However, we'll stay focused on NRG. 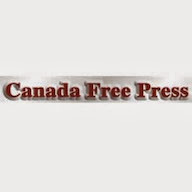 The press release did note that Trina Solar, who had been working closely with NRG, had "already donated solar power to support the Lashto Fish Farm and the Zamni Beni Orphanage." On the other hand, in July 2013, RenewableEnergyWorld.com reported in their "Doing Good by Doing Solar" article, that NRG Energy, in helping the fishermen as one of its many projects in Haiti, "partnered with ENERSA, a Haitian solar company, which offered the fishermen loans for electrified freezers." Somebody's making a profit along this charitable road in Haiti. The site visits included the Boucan Carré Health Center, the first clinic to be solarized by SELF; the Lashto Fish Farm, a new extension of the fish hatchery that is now solar powered thanks to NRG Energy and SELF; the Bon Berger De Doman School, a Digicel-funded school with solar power [more on Digicel later]; and finally the new Partners in Health Mirebalais teaching hospital. It seems that by the end of November 2012, the entire Sun Lights the Way: Brightening Boucan Carré (a 1 million-dollar project) was completed (where'd the other $500 k go?). This included installing solar systems for a Solar Market Garden™ (drip irrigation system), a fish farm, and 20 schools. Collaboration and funding for the project came from several sources. Non-profit organisation Solar Electric Light Fund assisted NRG in the deployment of the project, while a US$1 million commitment from the Clinton Global Initiative and a US$500,000 pledge from the Clinton Bush Haiti Fund provided the needed funding. Solar module manufacturer Trina Solar donated all the solar panels installed on the schools. Meanwhile, SELF reported in May 2013, that the very first Solar Market Garden™ in Haiti is a success! plans for the panels from the roof of Mirebalais Hospital. "In 2013, NRG reached beyond our market boundaries to assist with the needs of our global community. 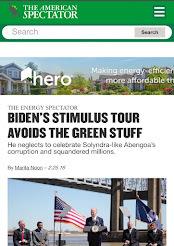 Partnering with the Clinton Foundation, we passionately work together to brighten the nation and reveal the benefits of solar power in Haiti," touts NRG Energy. And one of those solar projects is the Bernard Mevs Hospital, which is part of Partners in Health (PIH), another Clinton Foundation cohort that promotes "Health is a Human Right." Completed sometime in July 2013, Haiti had its first solar-powered hospital. The advanced solar panel power system that was installed at the hospital, according to 1Sun4All.com, "received support from leading solar technology manufacturers, including SMA, Unirac, Trina and Sunora Energy Solutions [an NRG subsidiary], which donated all of the solar panels, equipment and materials needed to install the Hospital Bernard Mevs array." Sunora Energy Solutions completed a PV solar Microgrid system at the Bernard Mevs Hospital... Sunora was responsible for the engineering, procurement, and construction of a 100 kW solar rooftop array and energy storage system (ESS). The ESS provides battery storage capabilities for the new solar system ensuring that the facility has consistent power. In fact, NRG Energy currently lists 34 projects in Haiti: 22 schools, two orphanages (the Zanmi Beni Home for Children and Kay St. Elen), the Bernard Bevs Hospital, a maternal clinic, the Lashto Fish Farm, an agricultural farm, another farm, two NGO facilities, three Social Enterprise facilitates. NRG Energy, Crane and his entourage also have an inspiring page (Harnessing Haiti's power) and subsequent videos showcasing their "doing good solar work." One in particular was posted around January 2014, entitled, "NRG Brightens Haitian School with Solar," where all the little children were wearing NRG t-shirts. Very moving, kind, and heartwarming! Yes, but questions surround this "solarization" of Haiti. 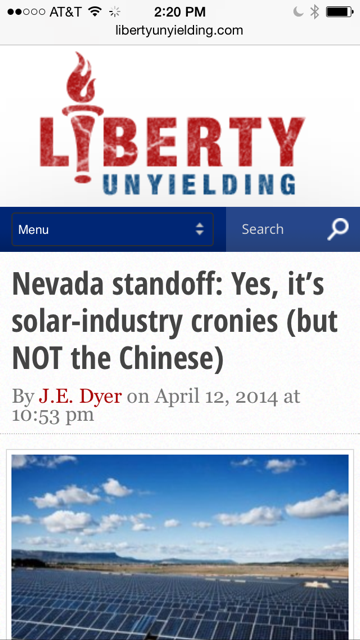 For starters: was all this solar work done for FREE? Who paid the workers? Who approved the work in Haiti? Who benefited, financially and otherwise? Did NRG Energy, its subsidiaries and the other companies involved in these deals make a profit in Haiti? 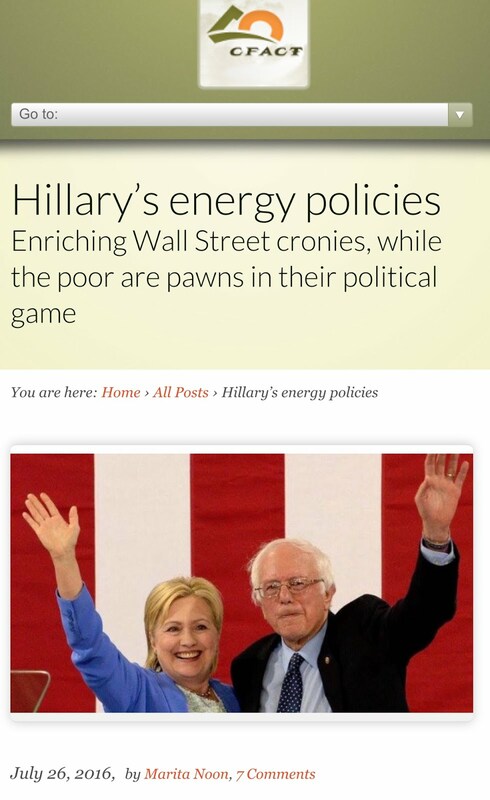 How much did the Clinton Foundation score out of the solar deals? Maybe just a few more political favors? And, what kind of favors will be coming down the political pipeline if Hillary becomes the president of the United States? Now, Crane says, he is hoping that what began as a charitable initiative will demonstrate the power of solar energy to spur economic development in poor countries. It could also help create business opportunities in the Caribbean for NRG. "We see significant opportunity in the Caribbean," Crane told me. "We'd like to be involved." Besides the large solar projects here in the U.S.A. that are funded with billions of taxpayer dollars (profiled above) as well as other big projects in solar and wind across the globe, there's more solar in the works for Haiti: "Together with partners with Blue Marble Dreams and Haiti 155," NRG plans on launching "Bèl Rèv (or 'Sweet Dreams' in English), a unique ice cream store that will inspire and drive change." Fortune Magazine, in their September 2013 piece, "Is the future of energy in Haiti?" 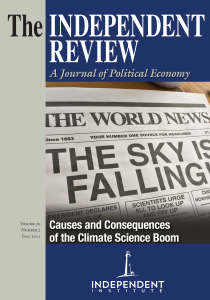 one of the authors in mid-September 2013 spent two days with Crane, along with a group of wealthy friends, NGO leaders, corporate executives, "traveling around in a caravan of black and white SUVs visiting humanitarian projects [in Haiti] where NRG and Crane are involved." And here’s where NRG’s Haiti mission moves beyond mere charity to strategic self-interest: Haiti is a testing ground for distributed solar. Solar holds great promise not only for Haiti, whose skies are clear on average 71% of daylight hours, but for its region — and beyond. Building on lessons learned in Haiti, NRG just announced a partnership with Bermudian telecom Digicel to develop renewable energy projects throughout the Caribbean. 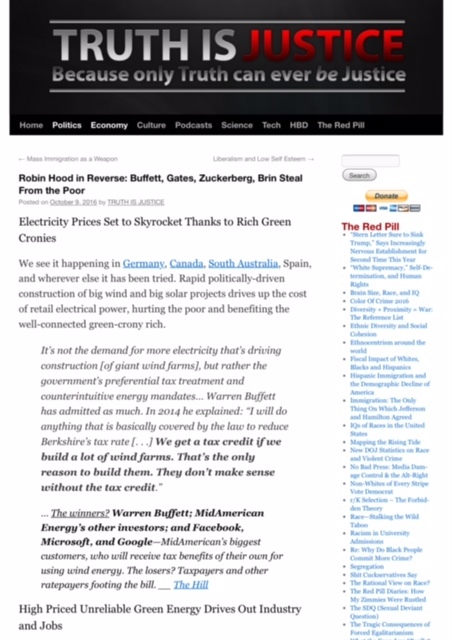 Yep, NRG Energy in cahoots with Digicel, touted as "one of the fastest growing mobile operators in the world," whose leader (chairman and founder) is another pal of the Clintons, that is featured in Schweizer's "Clinton Cash" book, has set their sights set on "'greening" the entire Caribbean. Irish billionaire Denis O’Brien, who heads a mobile-phone network provider called Digicel, won a $2.5 million award in 2011 from a program run by the State Department’s U.S. Agency for International Development to offer mobile money services in post-earthquake Haiti. The firm won subsequent awards. Funds for the awards were provided by the Bill and Melinda Gates Foundation, while USAID administered the program, with a top Clinton aide directly overseeing earthquake aid. Mr. O’Brien has given between $5 million and $10 million to the Clinton Foundation since its launch. It is unclear whether Mr. O’Brien gave while Mrs. Clinton was at the State Department because of the way the foundation discloses its donations. In 2010 and '11, Digicel, a mobile phone company, gets more than $2 million in U.S. taxpayer money to set up a money transfer program in Haiti. The company's owner, Irish billionaire Dennis O'Brien, arranges four speeches for Clinton for $825,000 and also contributes between $1 million and $5 million -- because that's the disclosure, there's no more definite than that -- between $1 million and $5 million for the Clinton Foundation. Now, I haven't read Peter's anticipated book, it was September 2013, at the CGI conference that lasted four days (9/23 through 9/26), where NRG Energy –– listed as a "meeting partner" –– and Digicel announced that the "two companies will partner on renewable energy projects under development in the Caribbean region. The two companies plan on acquiring, constructing and owning the projects for their lifetime. NRG and Digicel are using a Request for Proposals process to solicit developers, governments, installers and others to provide information on renewable energy projects under development for possible investment. 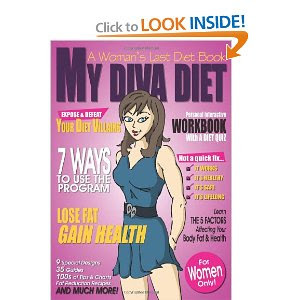 The RFP will be formally launched Sep. 30 and ends Nov. 15. 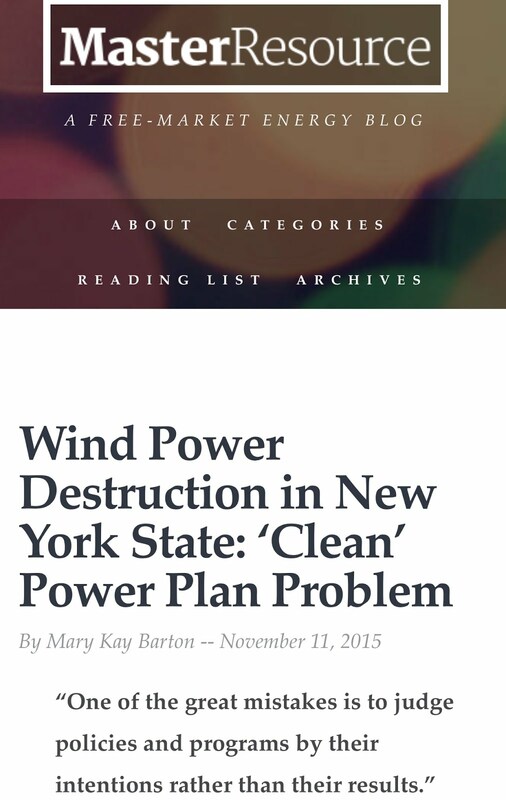 The process is being managed by CohnReznick Think Energy LLC. [Found Here]. Digicel Group CEO Colm Delves said in the Caribbean, distributed and utility-scale renewable energy projects can deliver a lower cost of energy than fossil fuels without the use of subsidies. NRG Energy, Inc. (NYSE:NRG) and Digicel today jointly announced at the Clinton Global Initiative conference in New York a partnership to acquire, construct and operate renewable energy projects under development in the Caribbean region. NRG and Digicel stand ready to bring financial and environmental benefits to the governments, utilities and peoples of the Caribbean in a venture that could see the two companies making a sizeable investment in the region. The types of projects being sought are primarily solar, but as CRTE President Mark Crowdis stated, “Understanding the right mix of technologies, from energy storage to wind systems to solar, is key in providing the greatest financial and environmental benefits to the region. Now, I haven't had much time to dig any further into NRG Energy and the Digicel Caribbean renewable energy projects, but as they develop (or are already exist), I will find them. And when there's a scoop to tell, I'll find that too. 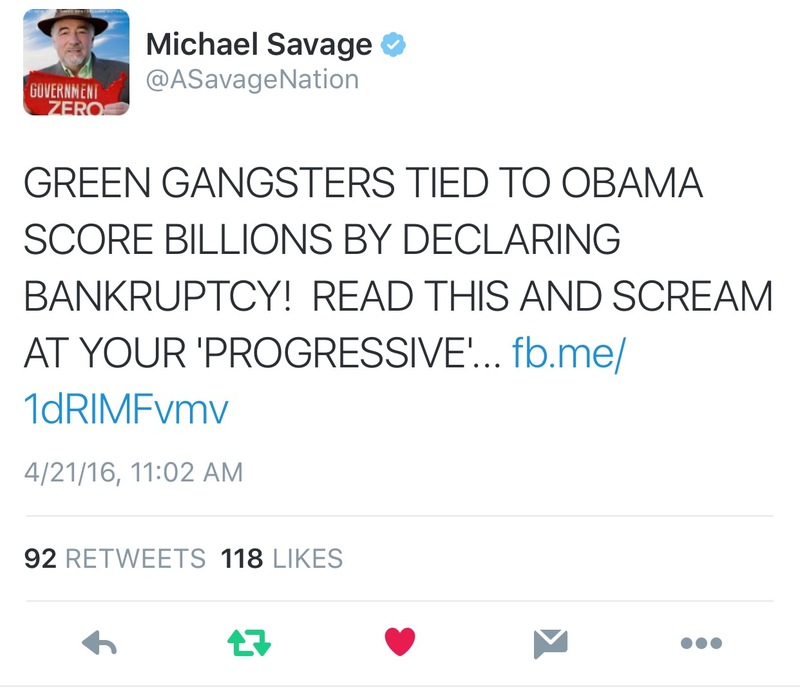 As the Obama administration's green revolution quickly catapulted into the largest, most expensive and deceptive case of crony capitalism in American history, and this is just a sneak peak into Hillary Clinton’s climate change ("green") cronies, one can only imagine what a future President Hillary Clinton would create. 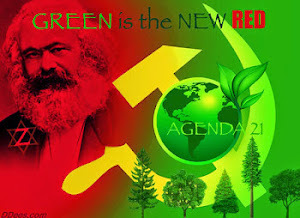 Well, IF that happens, at least I'll still have a "green" job!